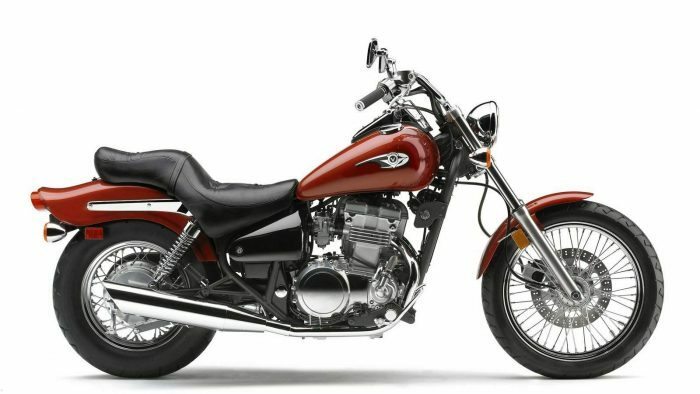 Beginner Motorcycles that Don’t LOOK Like Beginner Motorcycles. 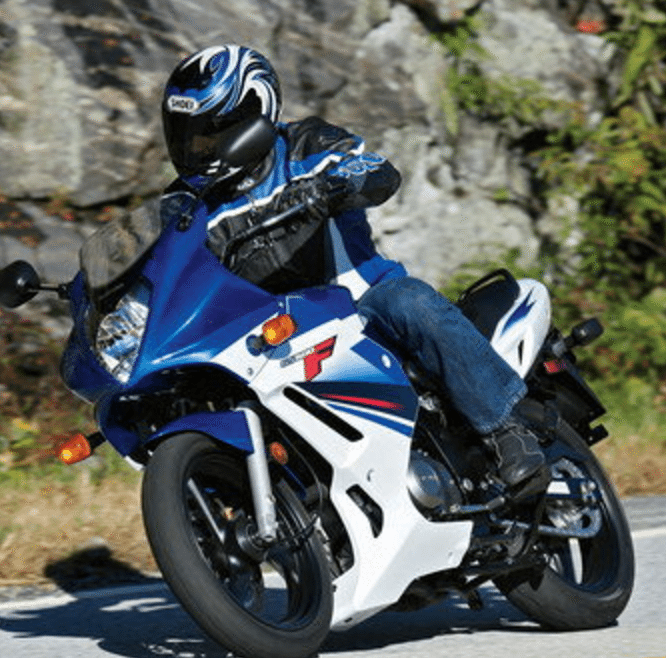 We’ve all been there, we love the look of the 600cc and 1000cc motorcycles but we realize we don’t yet have the skills to pilot them. 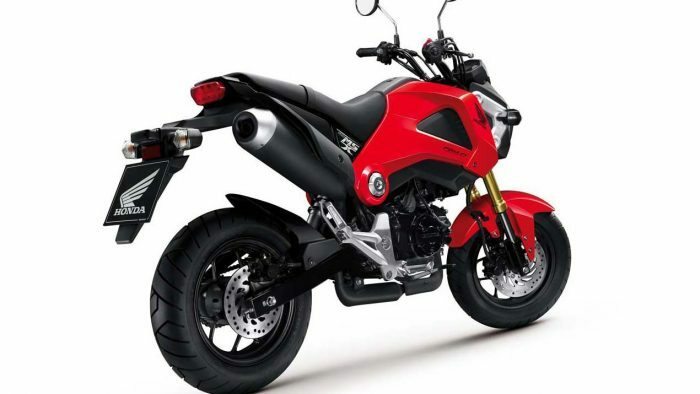 The smart ones will picture a smaller motorcycle and deal with the outdated looks of their beginner bikes, the not so smart ones may go out and buy that 600cc machine and see it crashed before their first month. 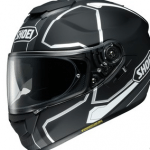 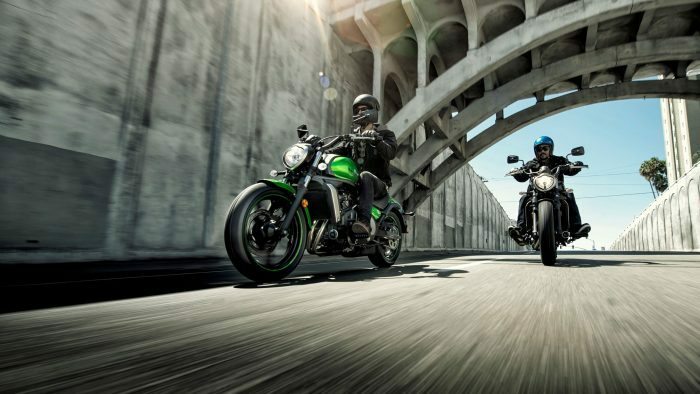 Now you don’t have to choose, because here are a few motorcycles that are low displacement, but still have racer inspired styling that will get you all the looks at your local starbucks. 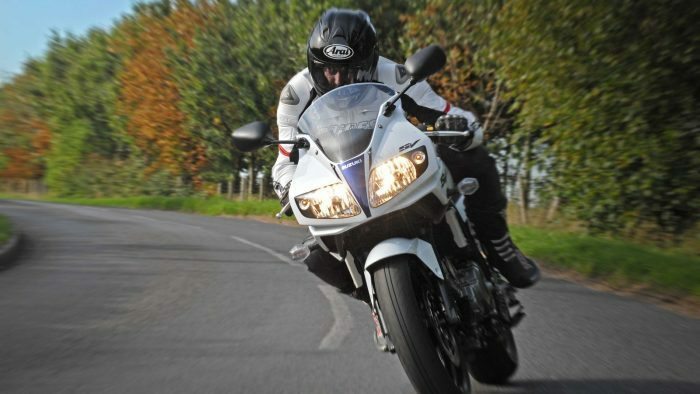 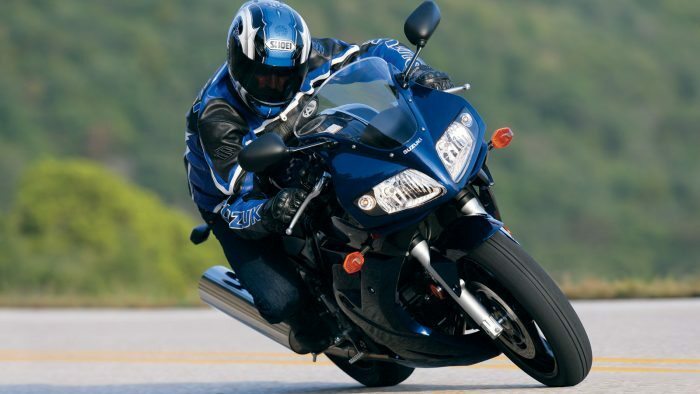 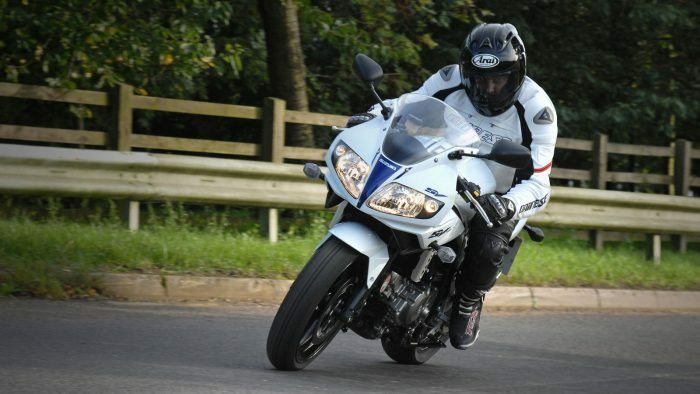 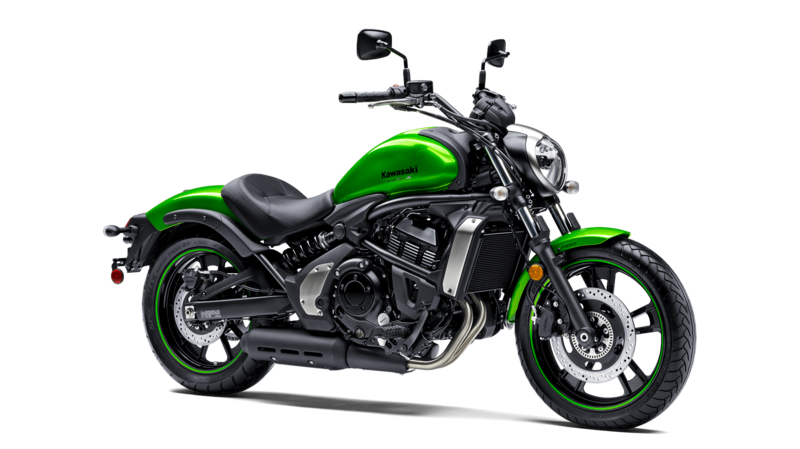 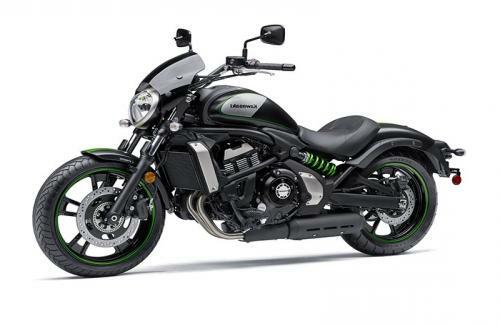 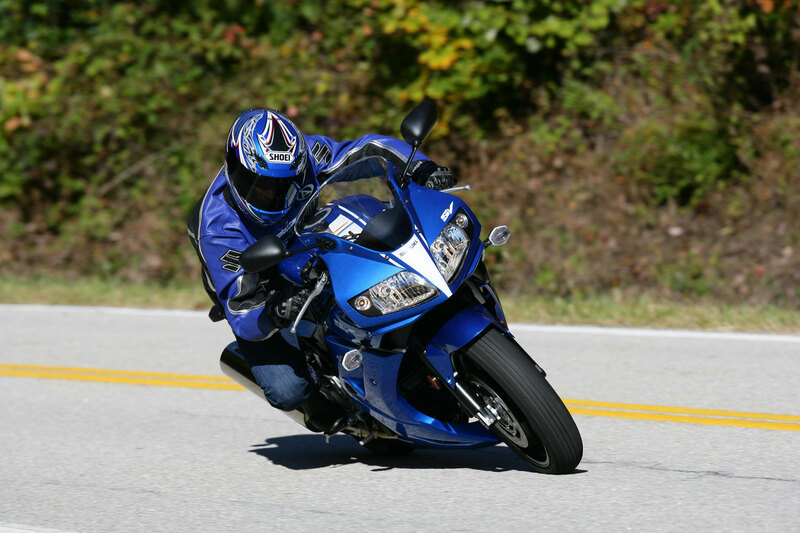 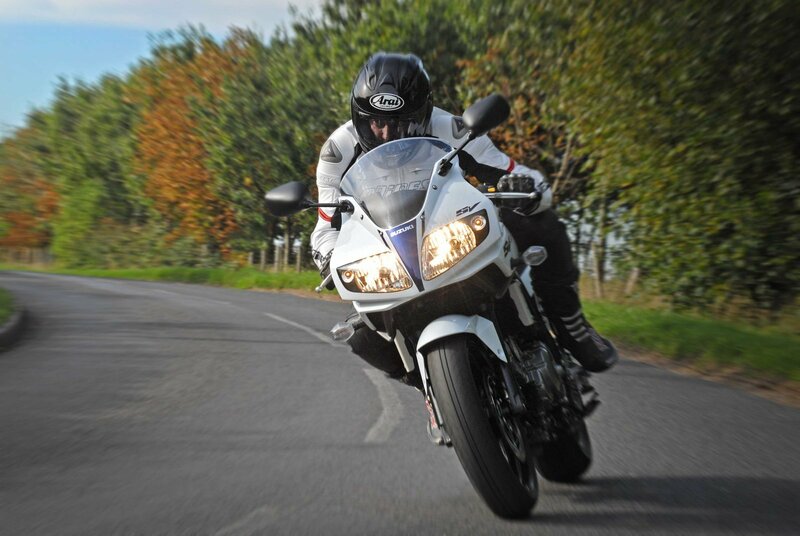 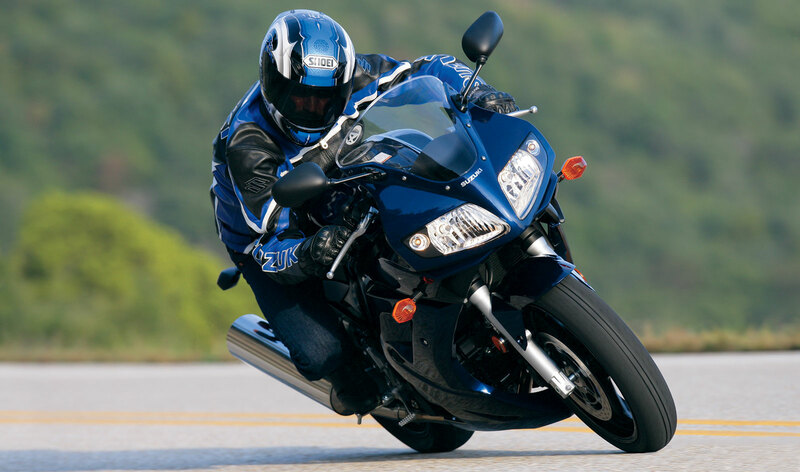 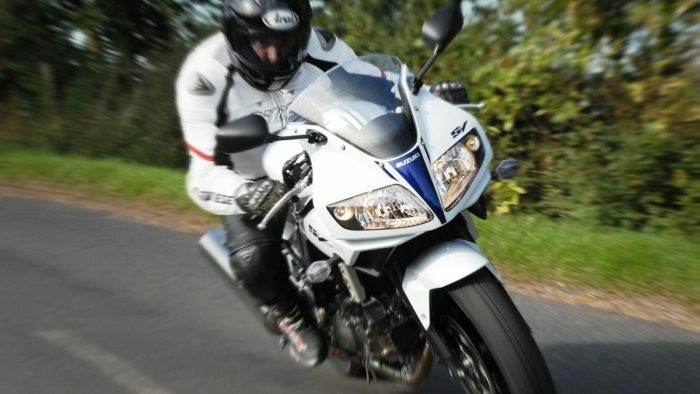 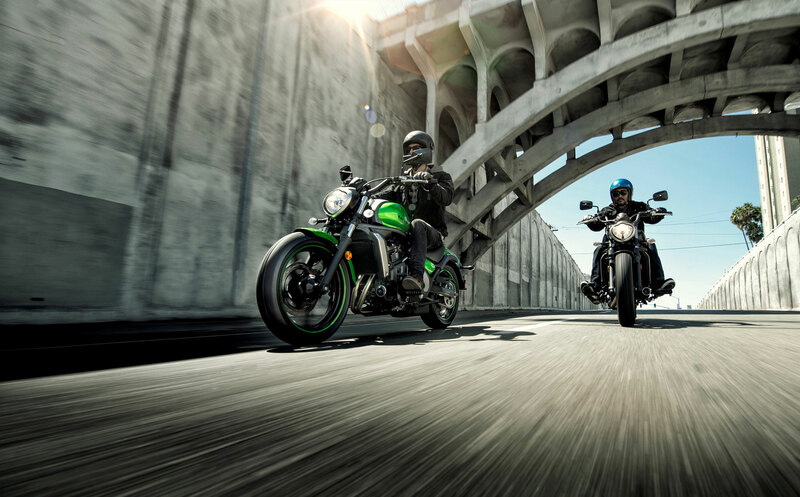 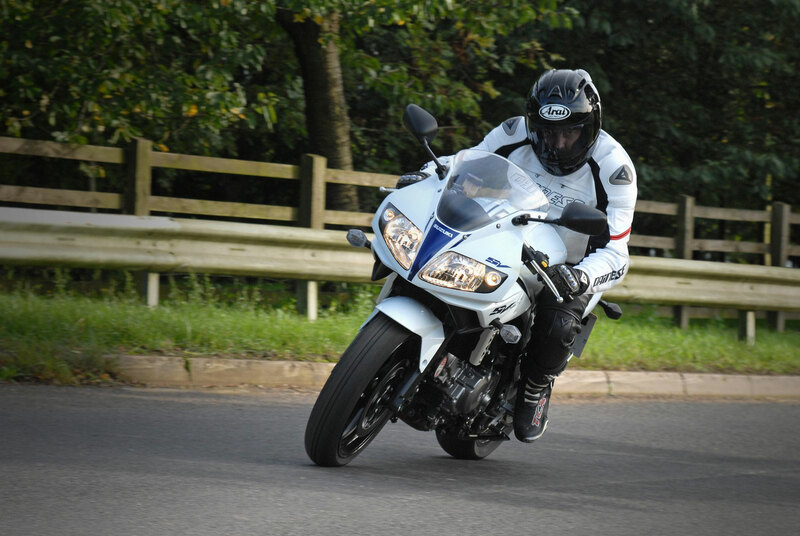 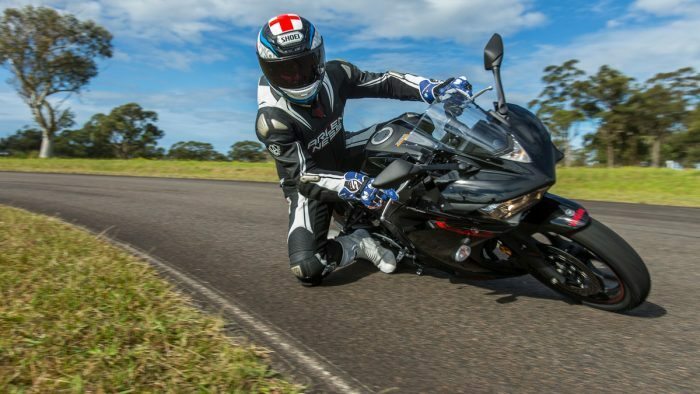 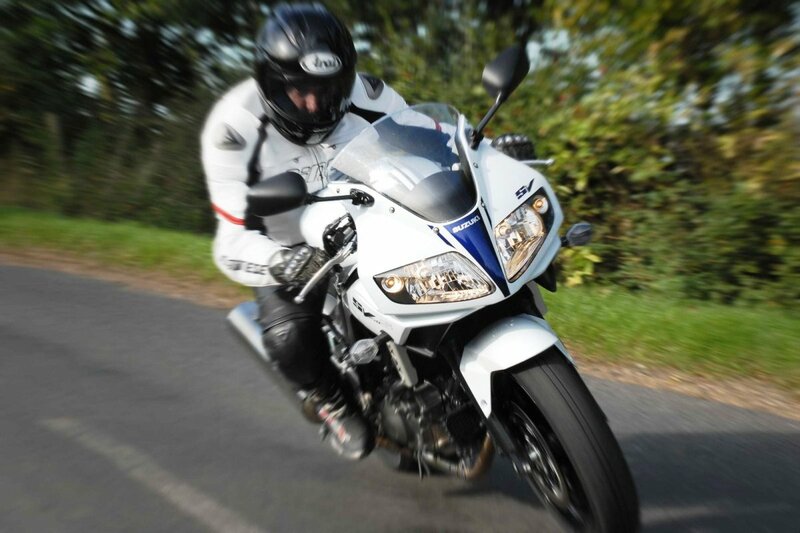 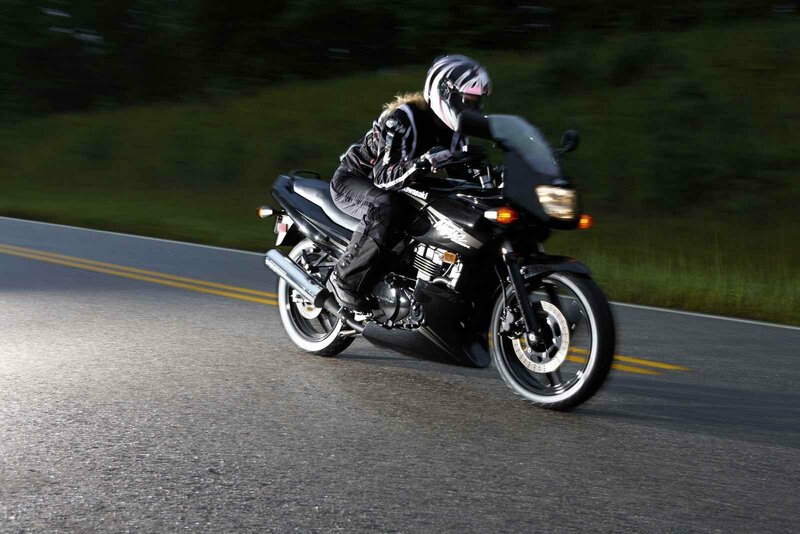 Kawasaki is very new rider friendly and they offer more beginner motorcycles than any other major manufacturer. 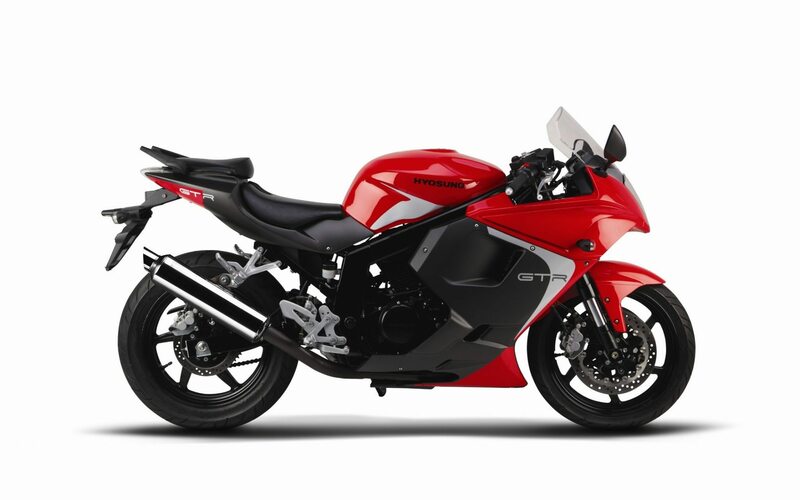 Most of you are probably familiar with the Ninja 250 and the Ninja 500, they are good motorcycles but they do look a bit aged in comparison to their 600cc brothers. 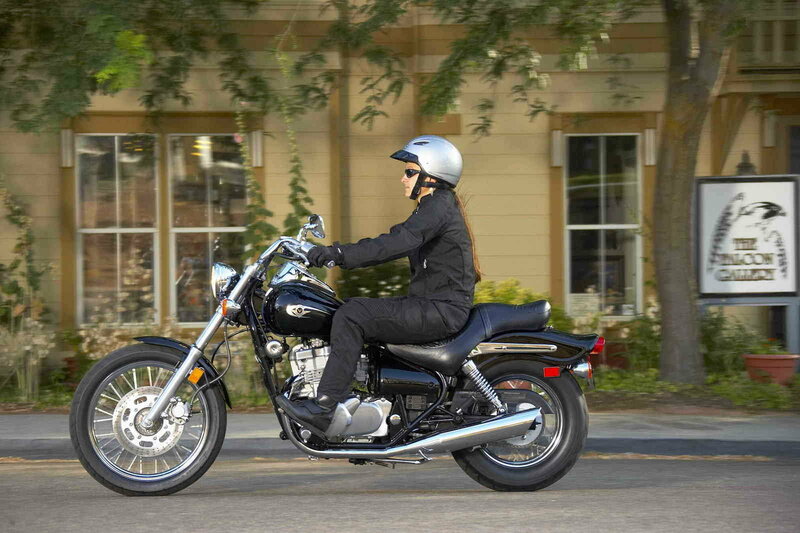 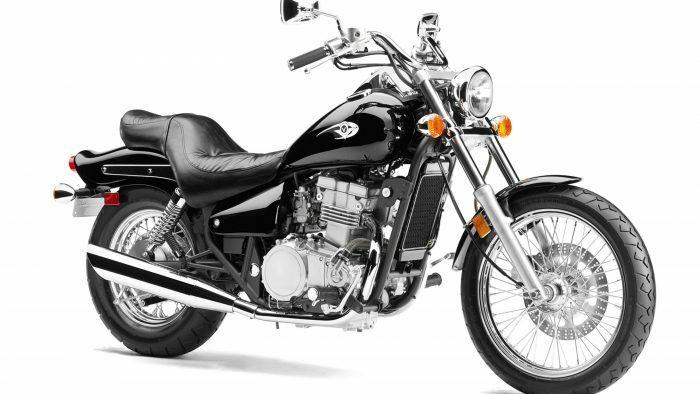 A motorcycle you may not have heard of is the smallest Vulcan in the family, the Vulcan 500 LTD. It’s a great looking motorcycle for reasonable money with a decent engine to boot. 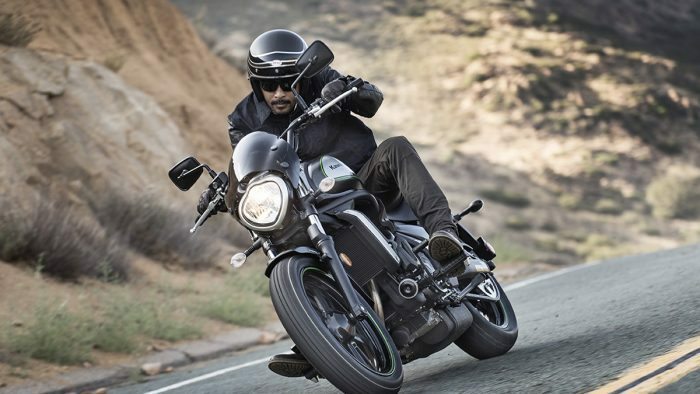 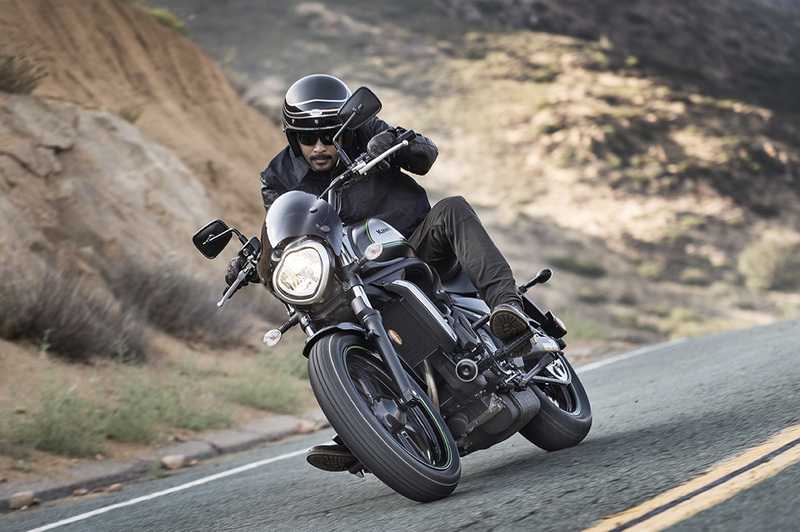 It’s motor design was based on the bulletproof design of the Ninja 500, so you can expect clean and predictable power delivery with minimal maintenance issues. 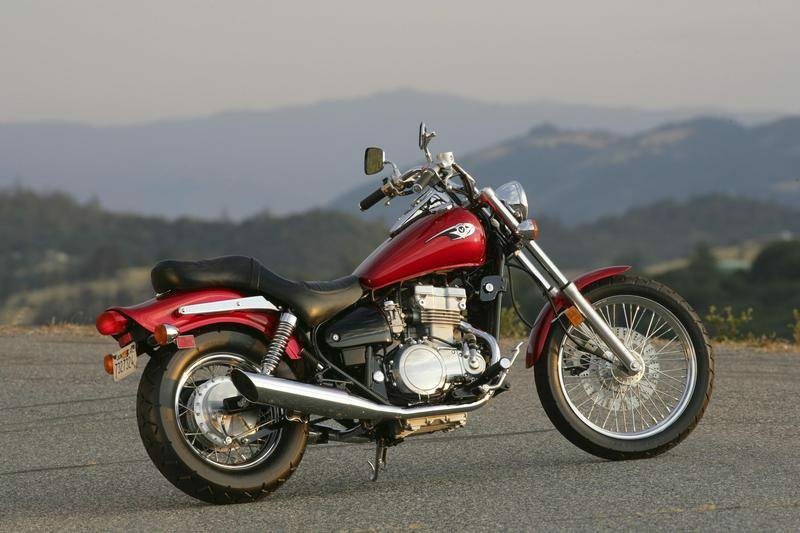 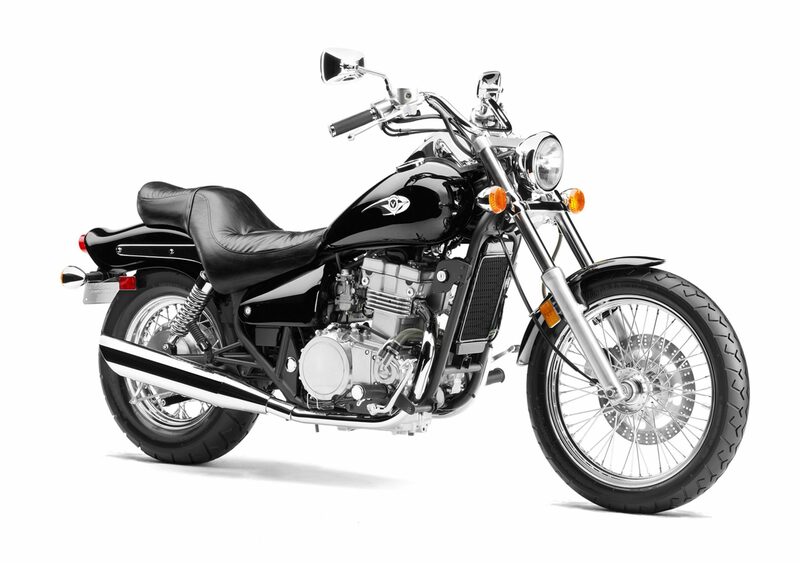 The design of the motorcycle gives it a low seat height and a wide and heavy ‘cruiser’ look that is hard to find in smaller displacement bikes. 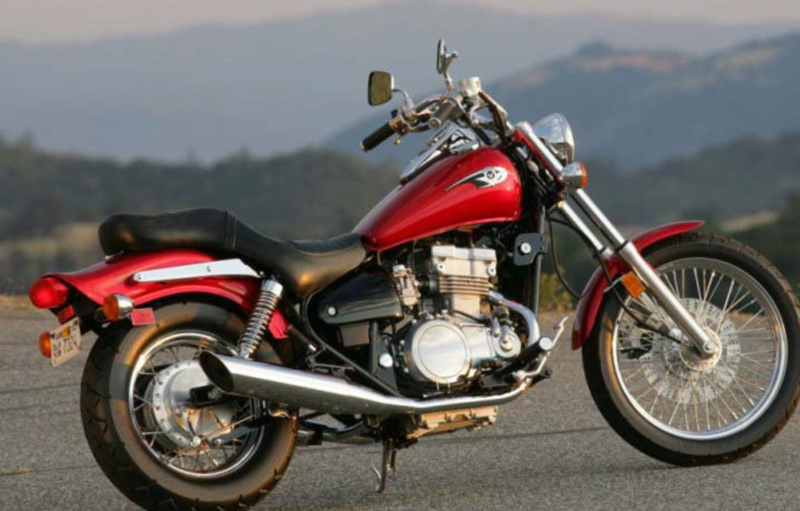 Usually it seems there is a lot of wiggle room between the frame and the motor, but the parallel twin engine fills up the space nicely. 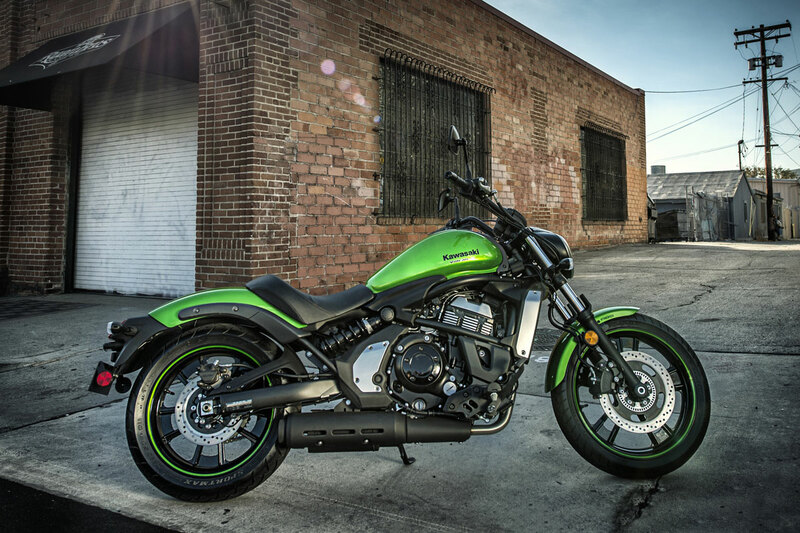 Definitely a great looking motorcycle. 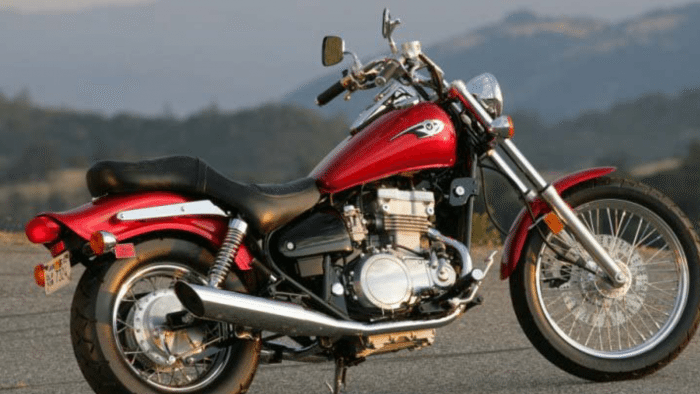 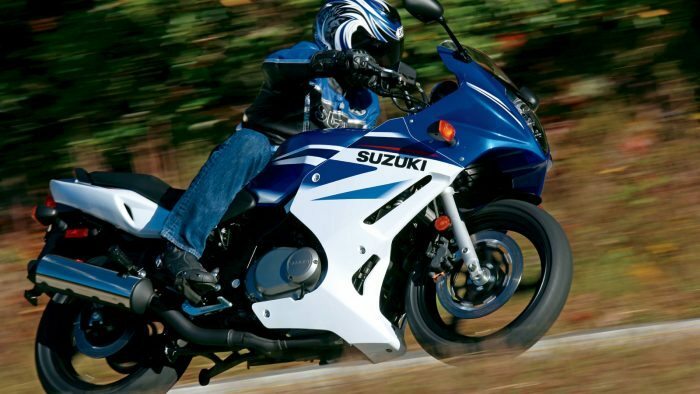 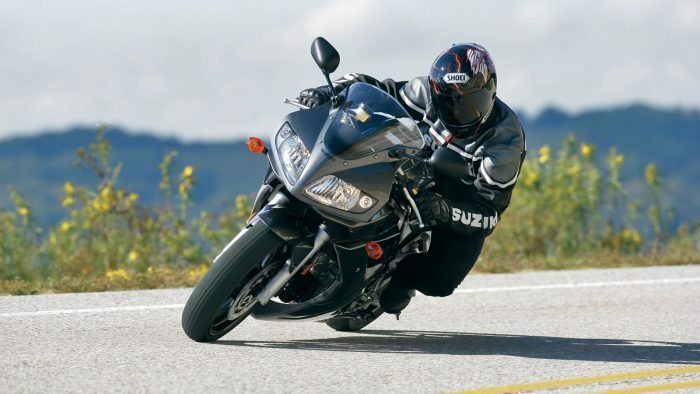 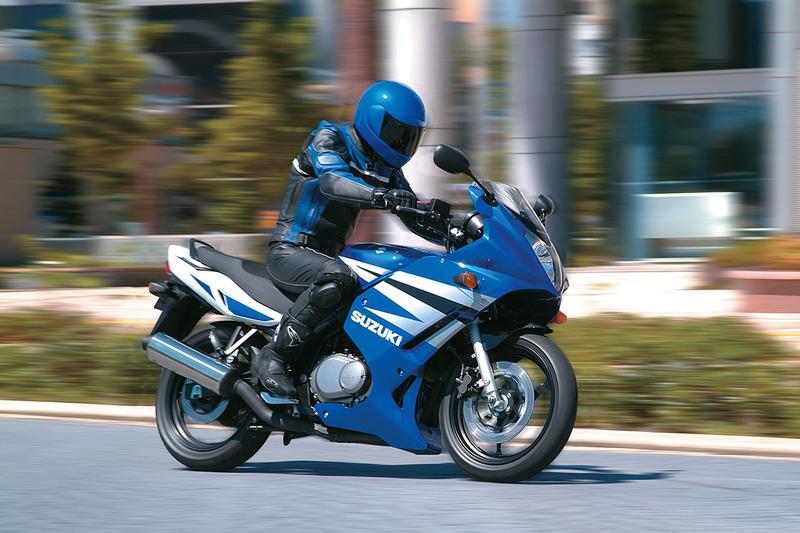 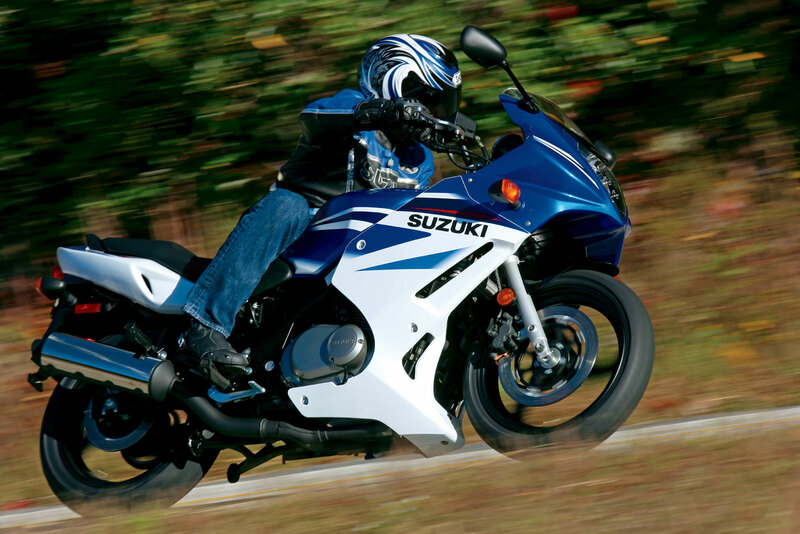 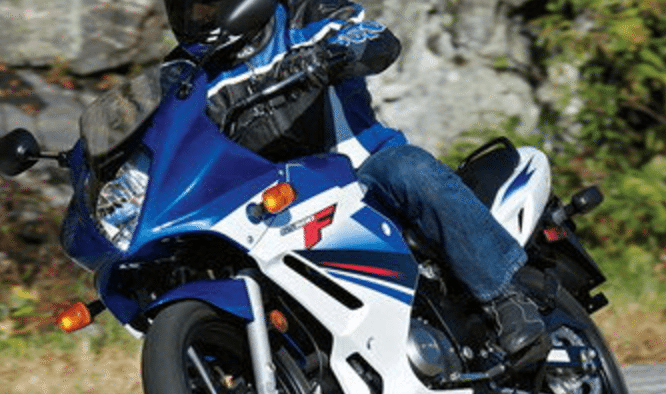 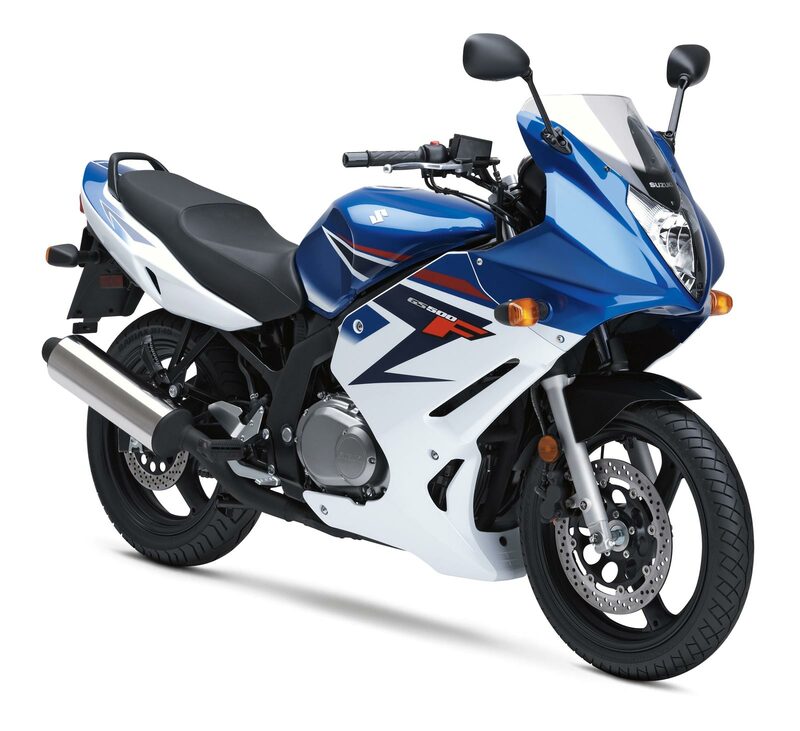 Suzuki has long had a great beginner motorcycle called the GS500 or the GS500E, it was a naked sport bike and it looked great. 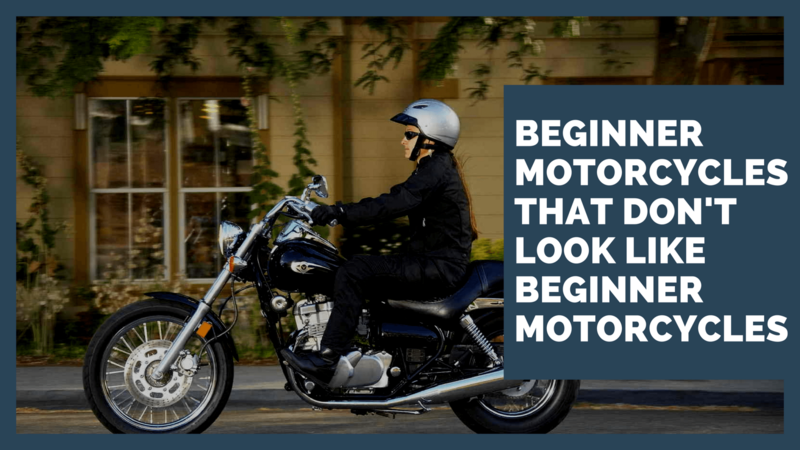 It was actually my first motorcycle, so I have a special connection with it. 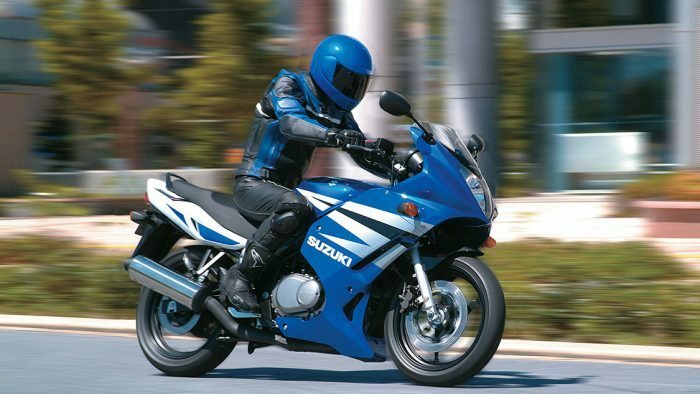 The engineers at suzuki thought that it looked a bit dated (the design was from the 80’s!!!) so they decided to upgrade a few mechanical components and throw a sweet looking fairing on it. 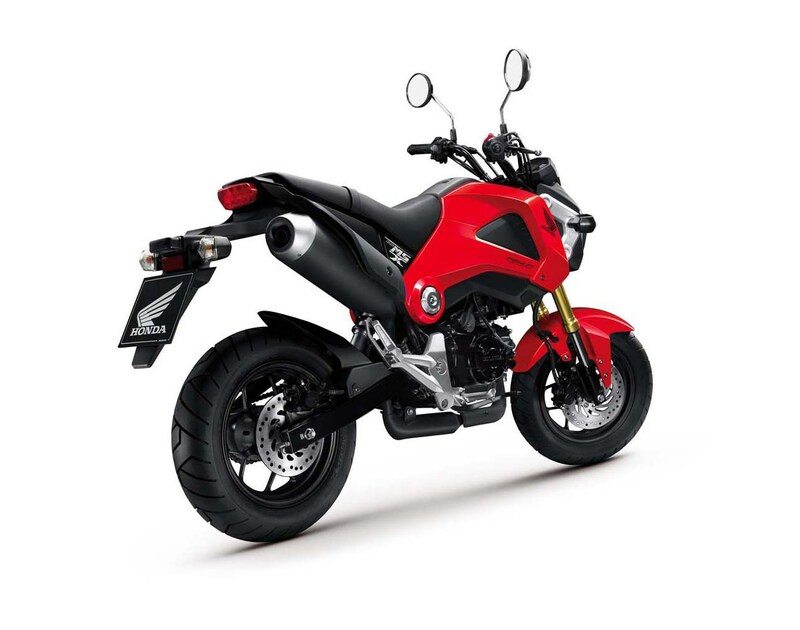 I must say that it really improves the look of this little motorcycle even if it does add a little more weight and some things to get scratched. 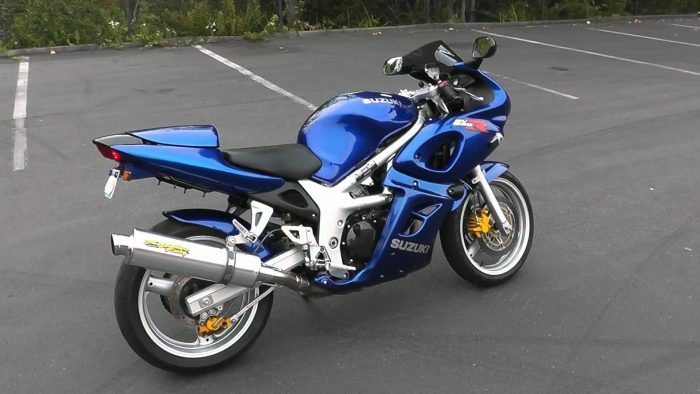 You wouldn’t look out of place if you pulled up next to a group of GSXR 600’s with this motorcycle, and I think that’s the way they intended it. 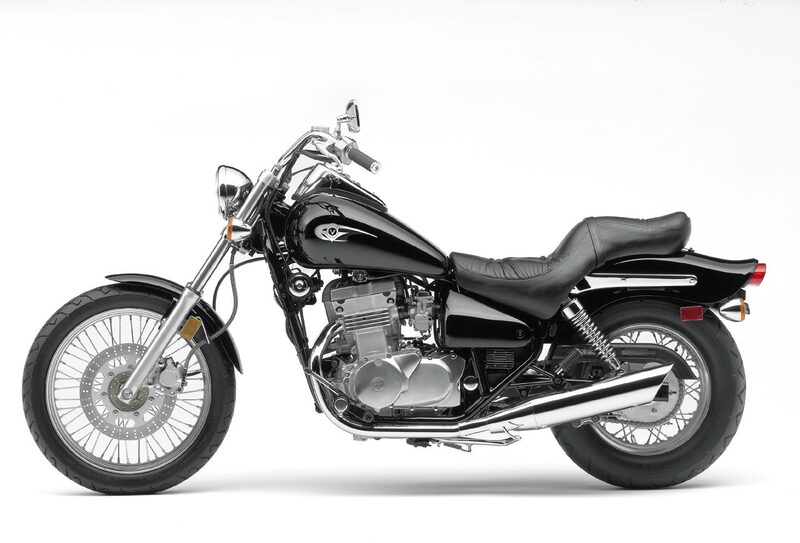 Under the fairing the motorcycle is basically the same one that has made it a popular beginner bike for the last 2 decades. 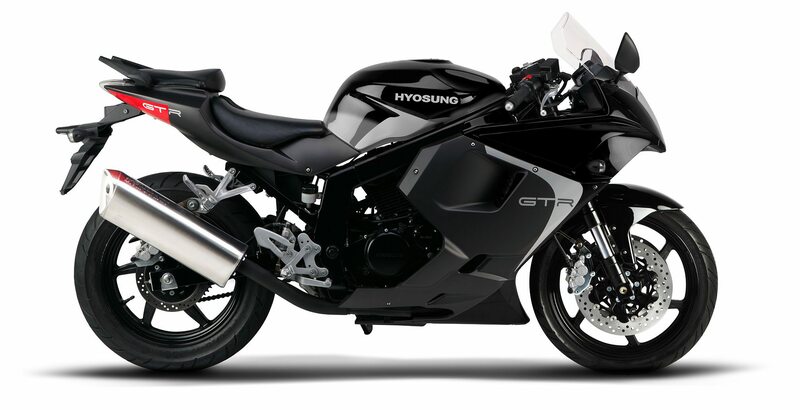 It’s still a little cold blooded, but that’s to be expected until they decide to outfit this bike with fuel injection. 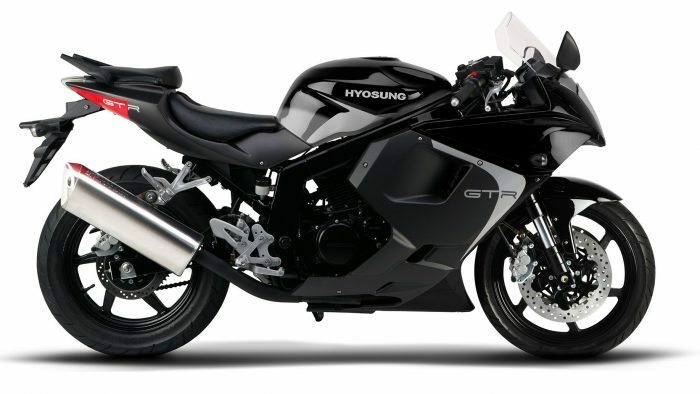 The extra fairing does add a little to the price, but it is well worth it to be able to hang with the big boys without looking out of place. 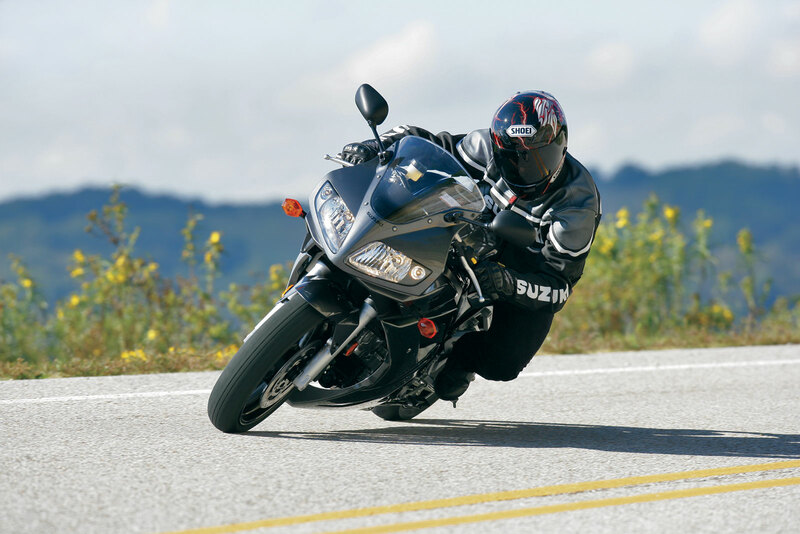 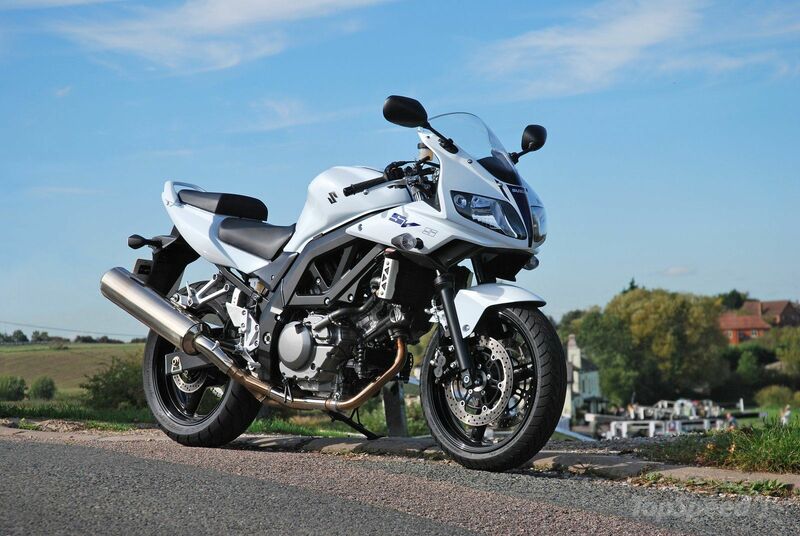 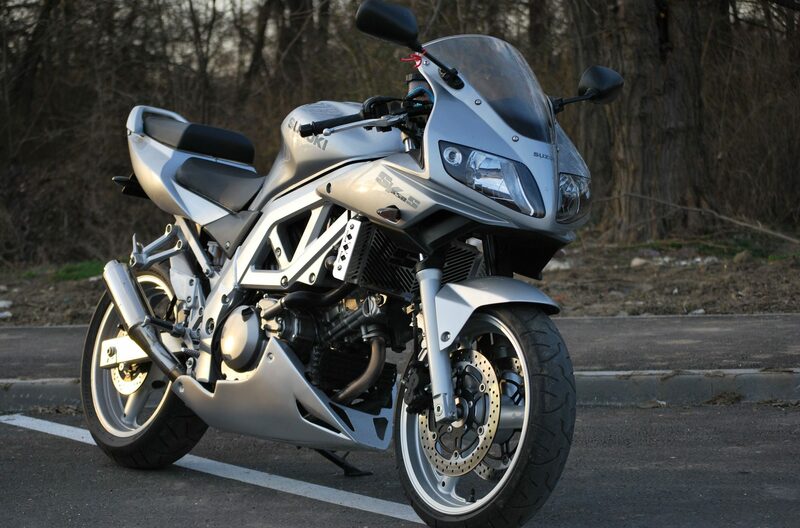 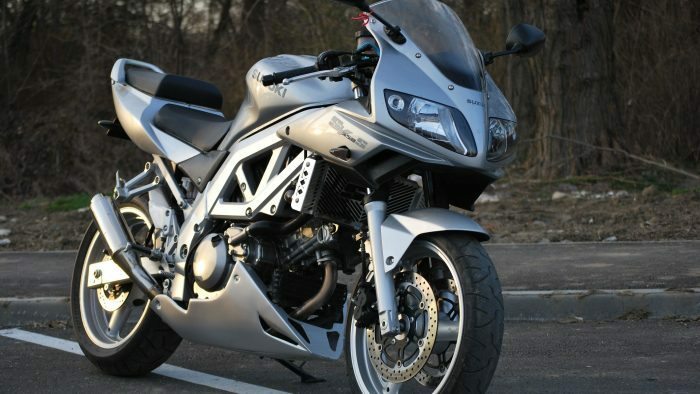 If you really don’t want a beginner style motorcycle because you have some dirt bike experience, then look no farther than the Suzuki SV650. 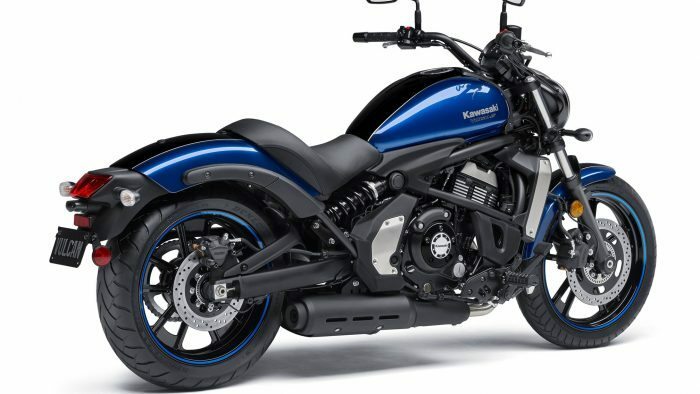 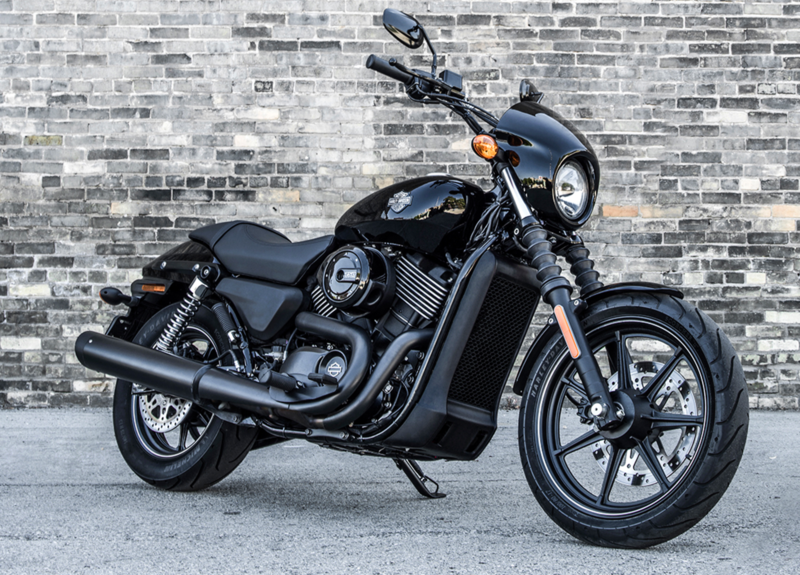 The great thing about this bike is the power delivery is very friendly for new riders, but still torquey enough to give the veterans their money’s worth. 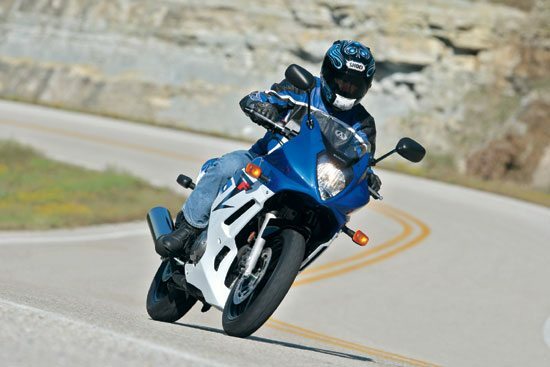 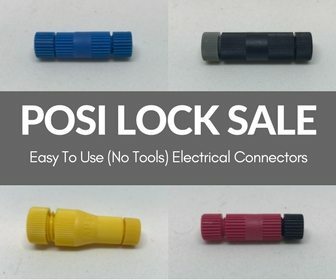 It is a great, cheap motorcycle if you’re a beginner. 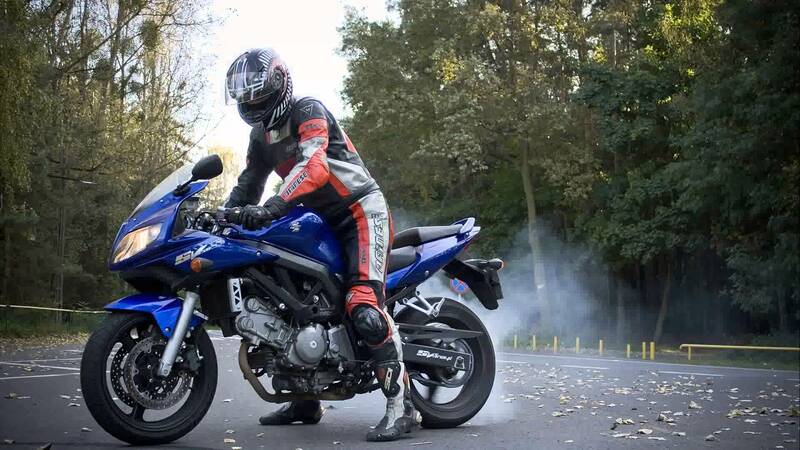 This means that there really is no telling if a rider on an SV650 is a experienced or not because it is very popular with both crowds. 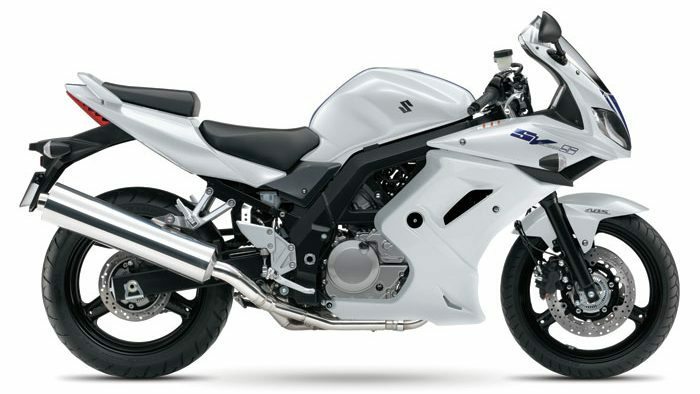 Also the larger SV1000 looks nearly identical to the 650, the only aesthetic difference being a small fairing below the engine. 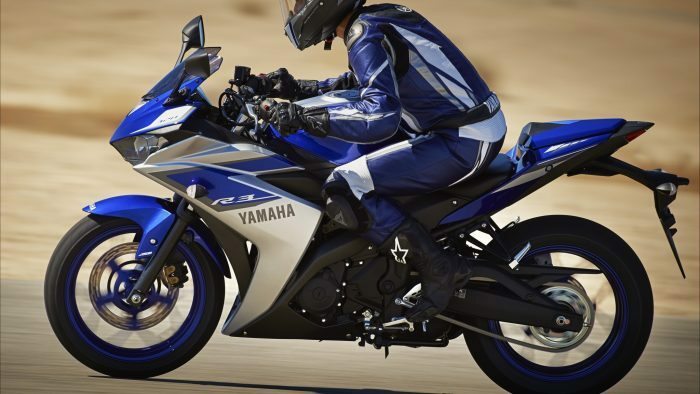 Probably the best looking bike on this list, and also the one with the smallest displacement. 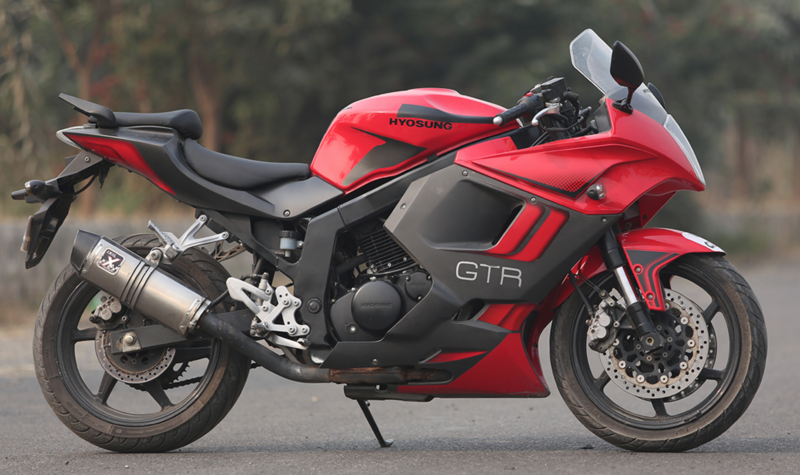 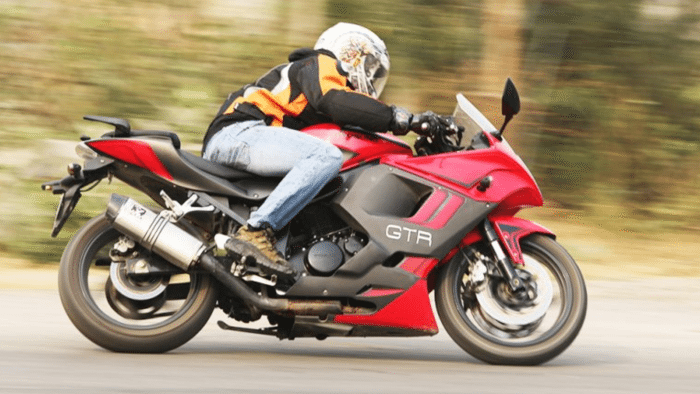 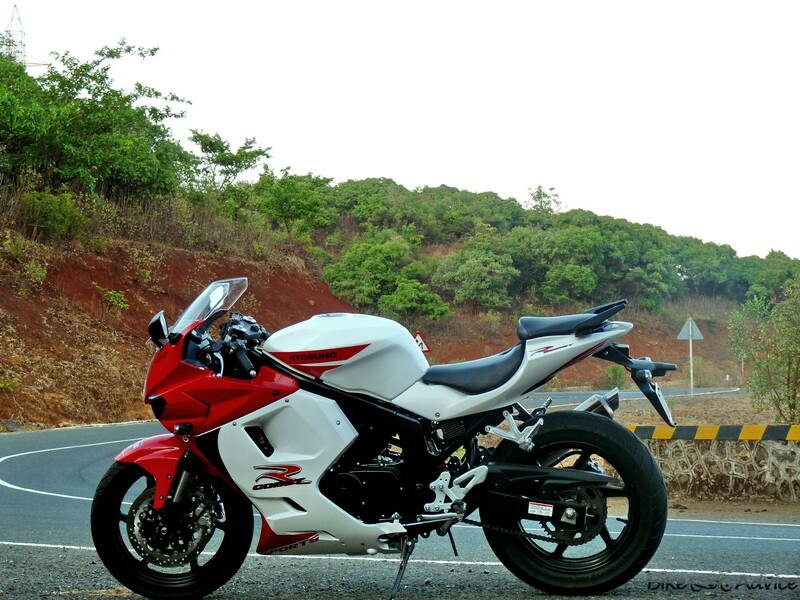 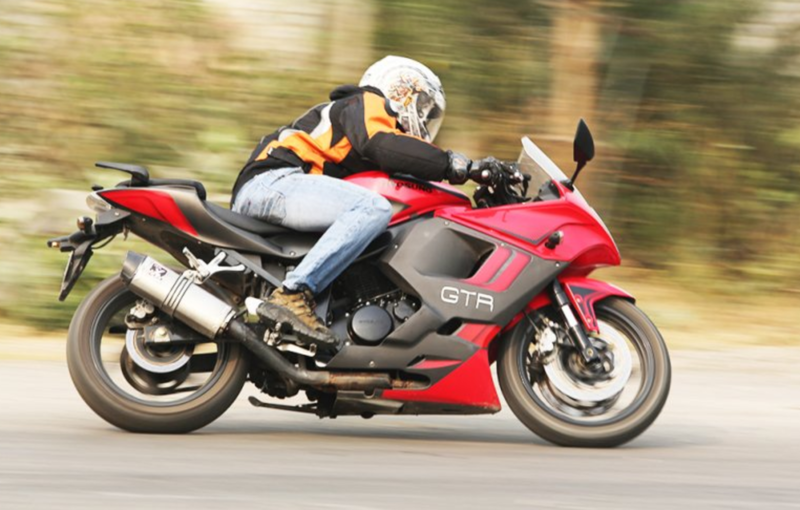 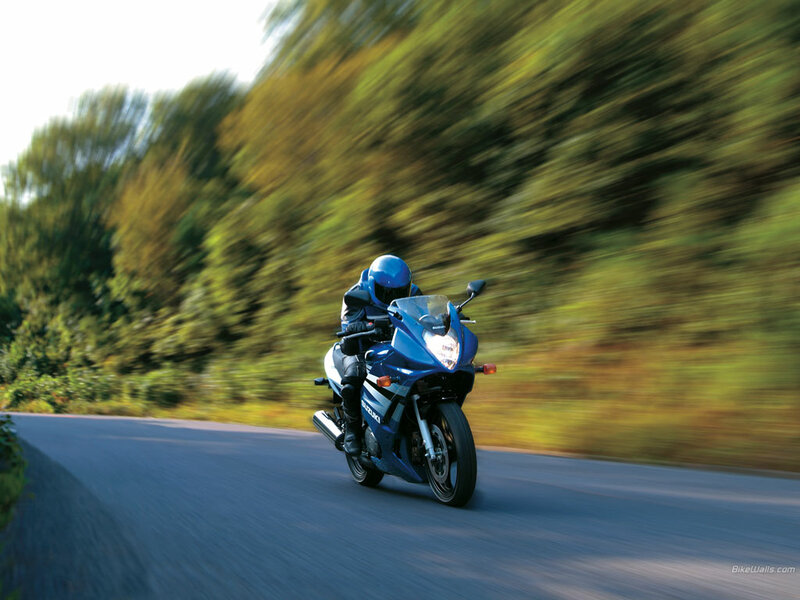 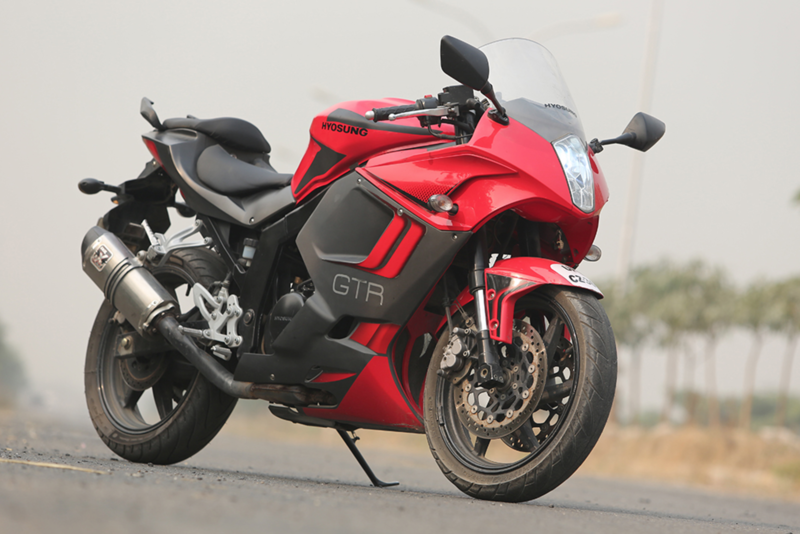 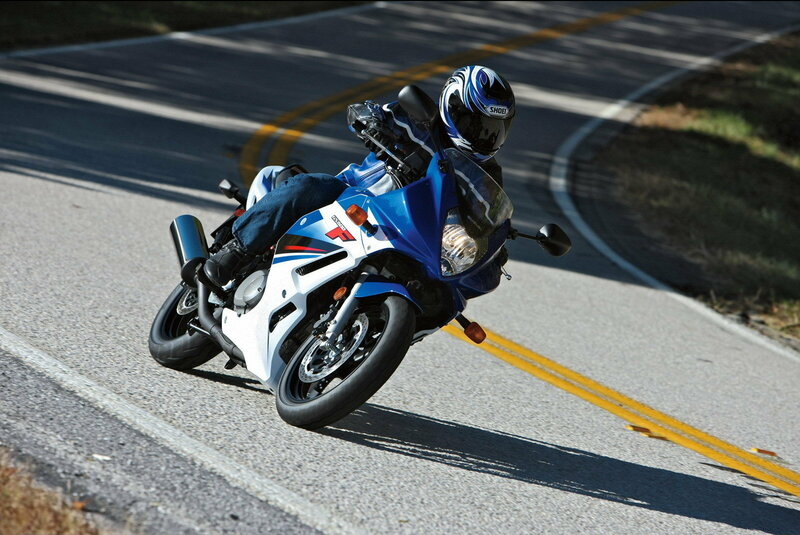 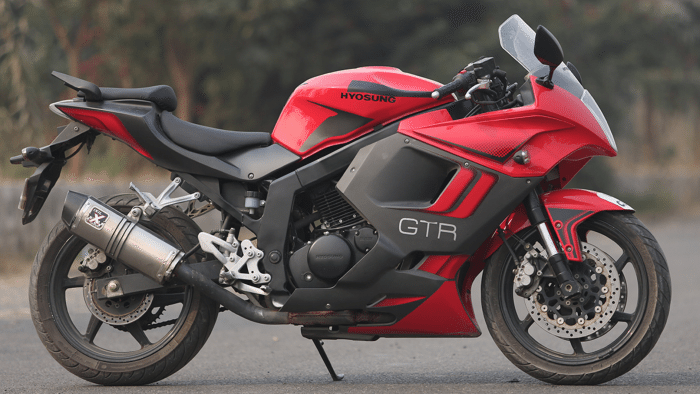 The Hyosung GT 250R is powered by a V-twin, 249cc engine that makes it very very user friendly. 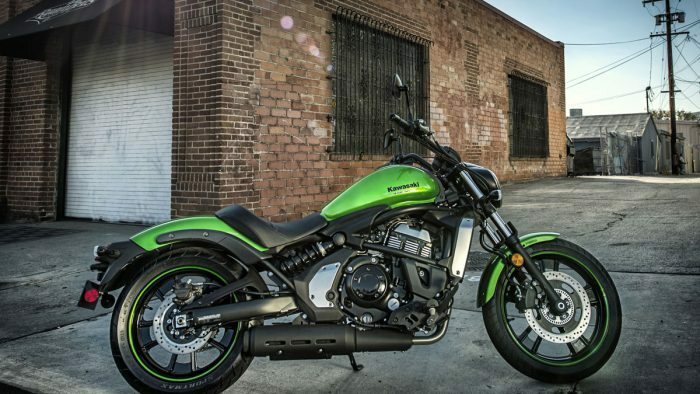 You won’t be popping any wheelies on this motorcycle, but you wouldn’t be able to tell that by the looks. 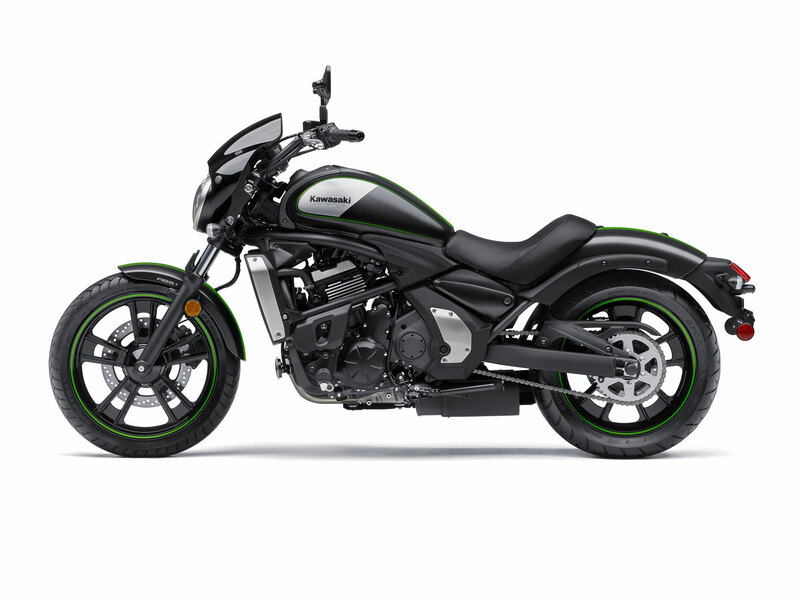 This is one of the cleanest and most modern looking motorcycles on the list, and it is quickly becoming one of my favorite bikes. 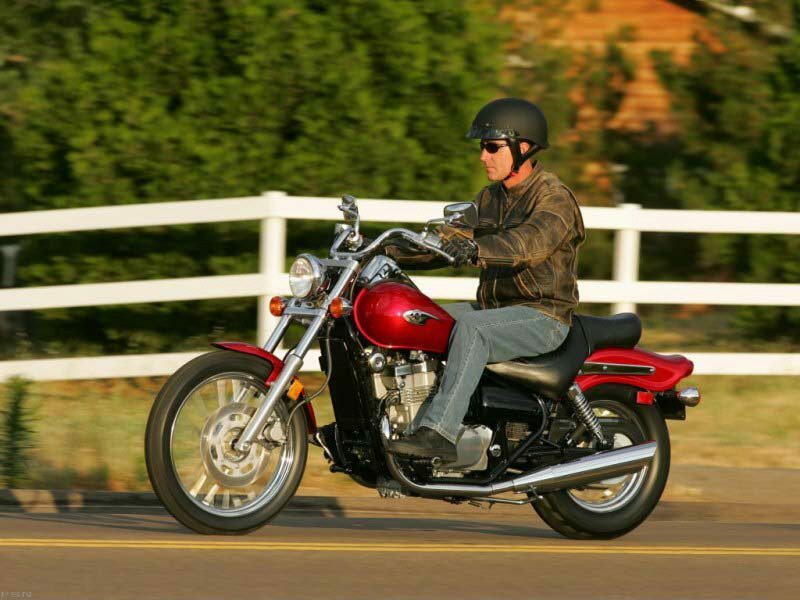 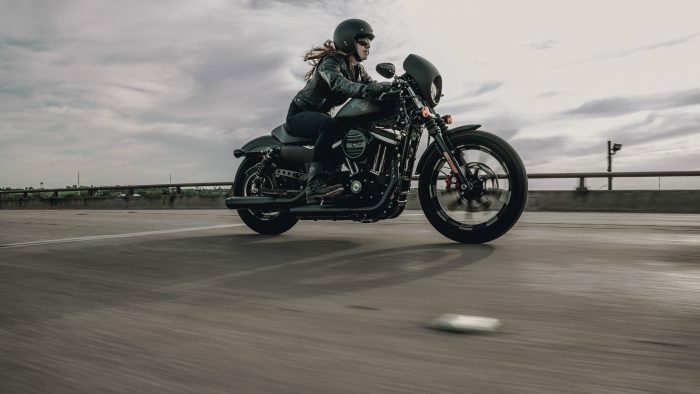 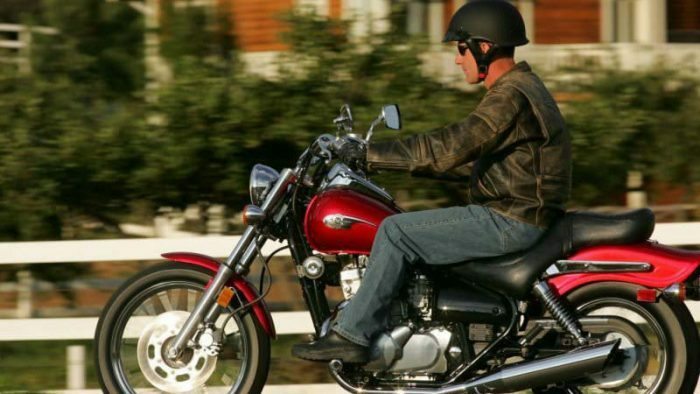 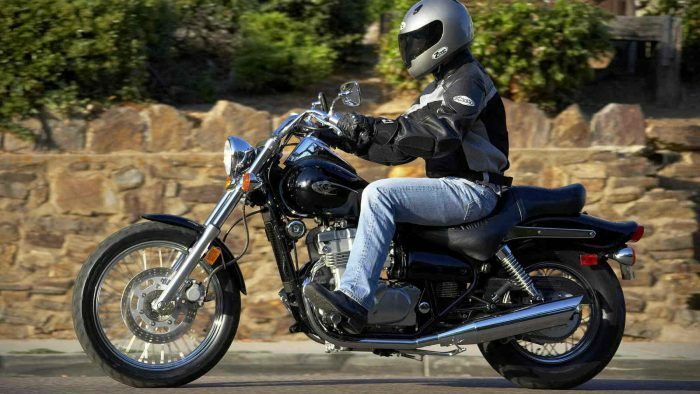 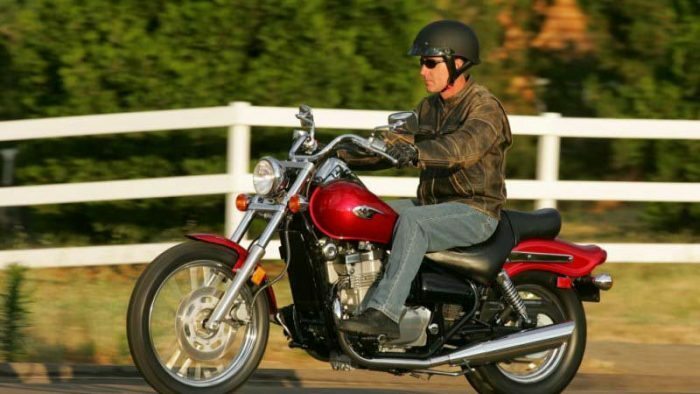 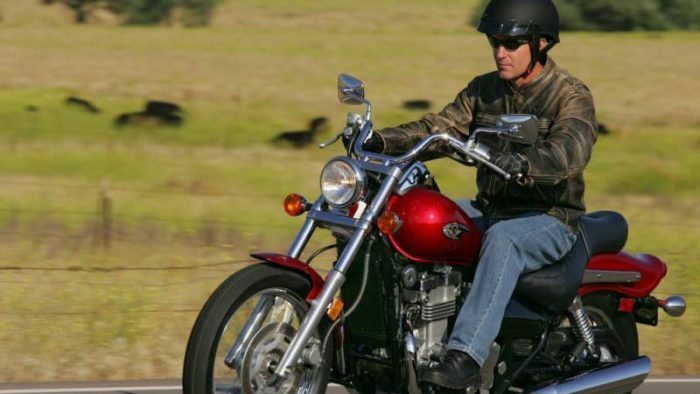 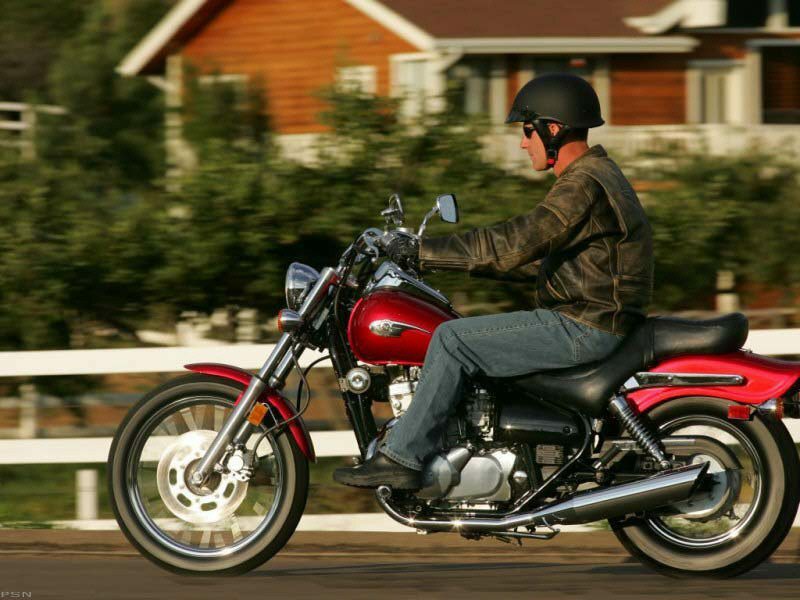 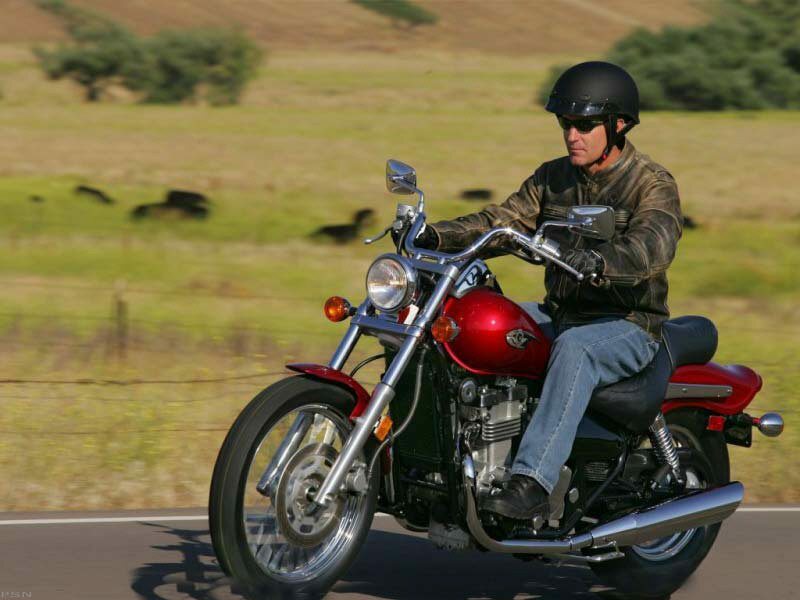 Because the bike is relatively new to the American motorcycle scene, most people won’t recognize what type of bike it is by sight. 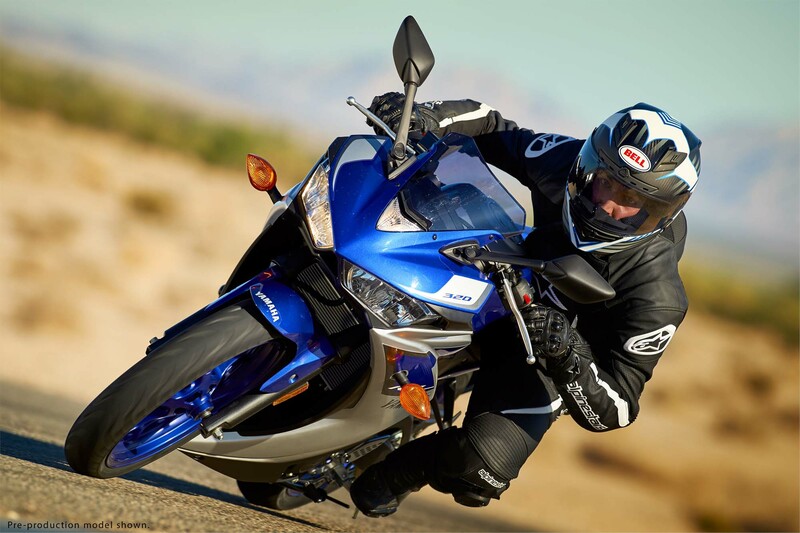 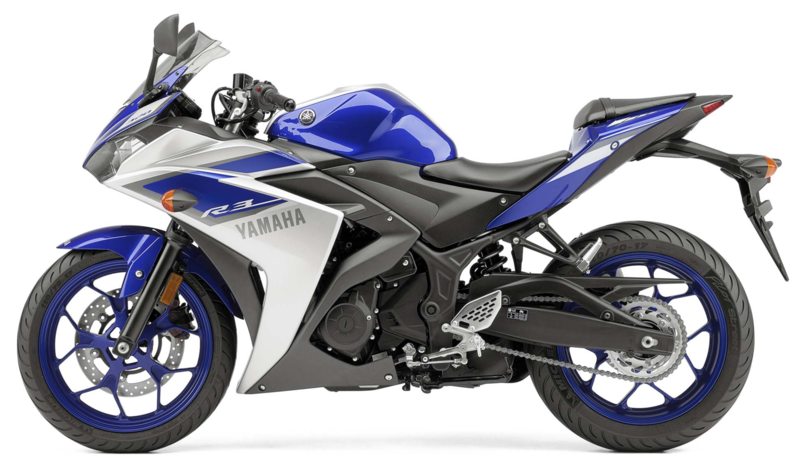 The only thing that gives away the displacement is a small “GT250R” sticker on the side fairing. 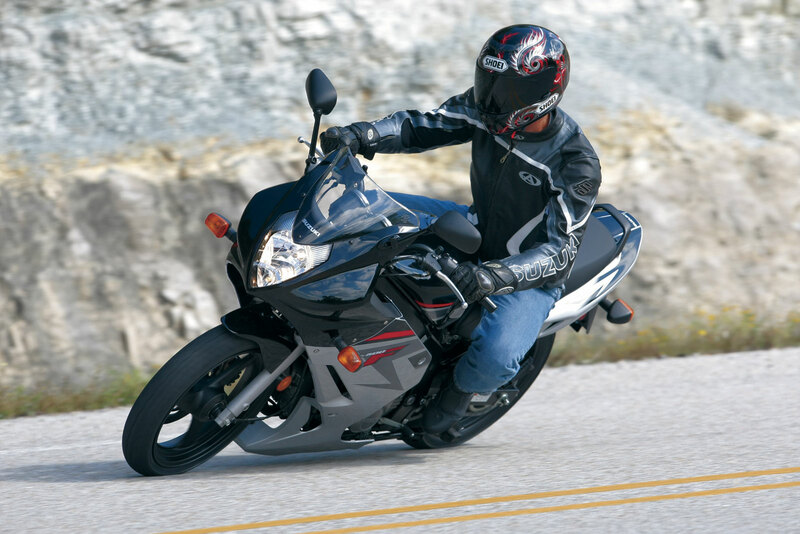 If by chance you aren’t comfortable on a 250cc, you should check out the GT125 that Hyosung offers. 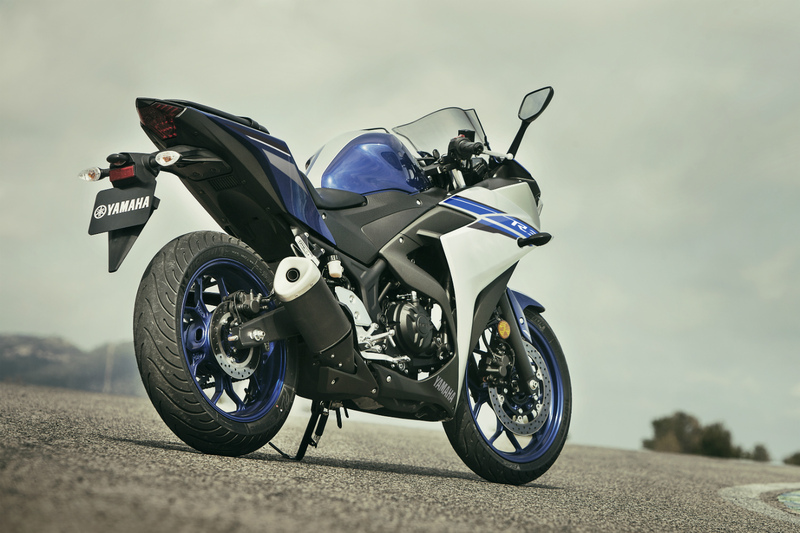 It looks identical to the 250R yet they have toned down the CC’s to an easy to use 125cc. 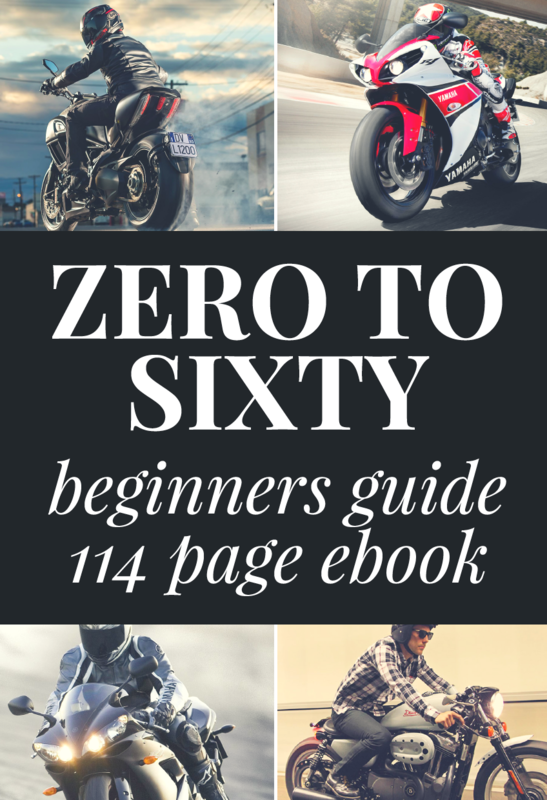 You won’t be doing triple digits with that bike, but it will help you learn the proper skills you need when you get a larger motorcycle. 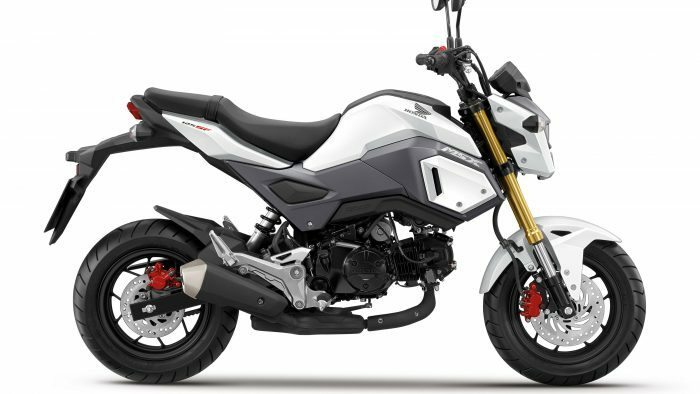 The Honda Grom is a great bike and it made our top starter motorcycles in 2017. 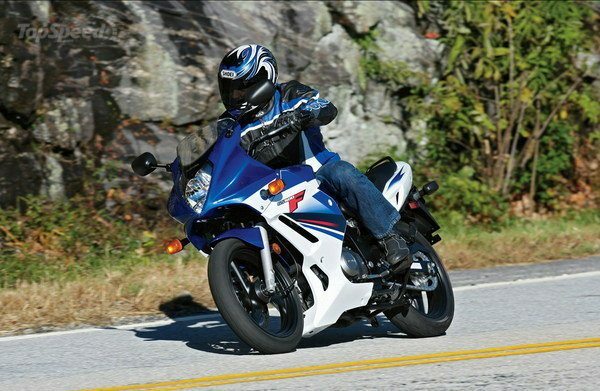 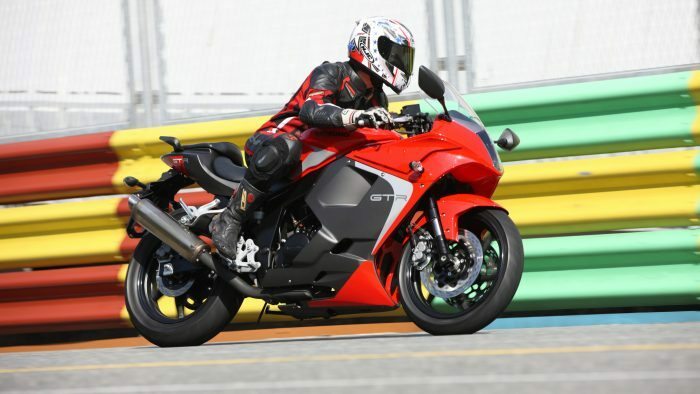 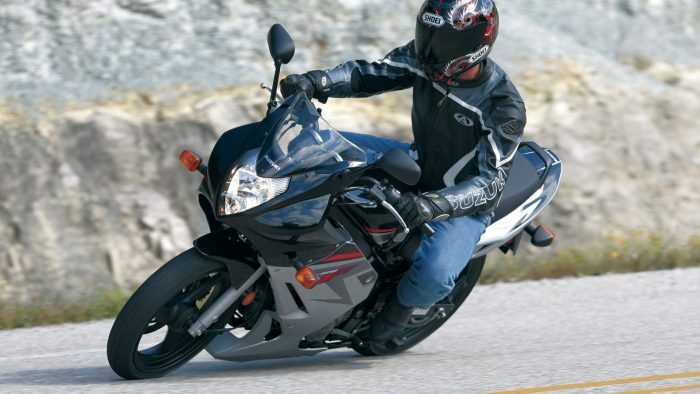 It has the smallest engine of any motorcycle on this list at 125cc’s. 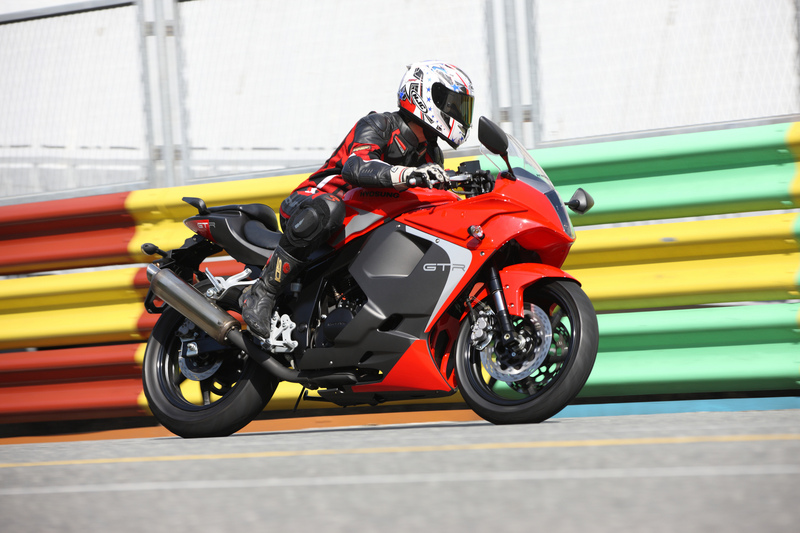 The Honda is cheap price for a new motorcycle, looks amazing and is up there with the best for fun-factor thrills. 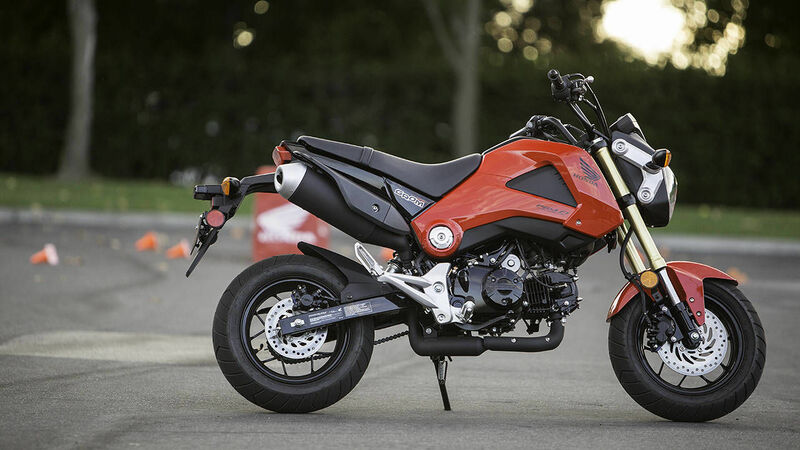 The Grom proves that you don’t need a big 600cc+ motor to have fun. 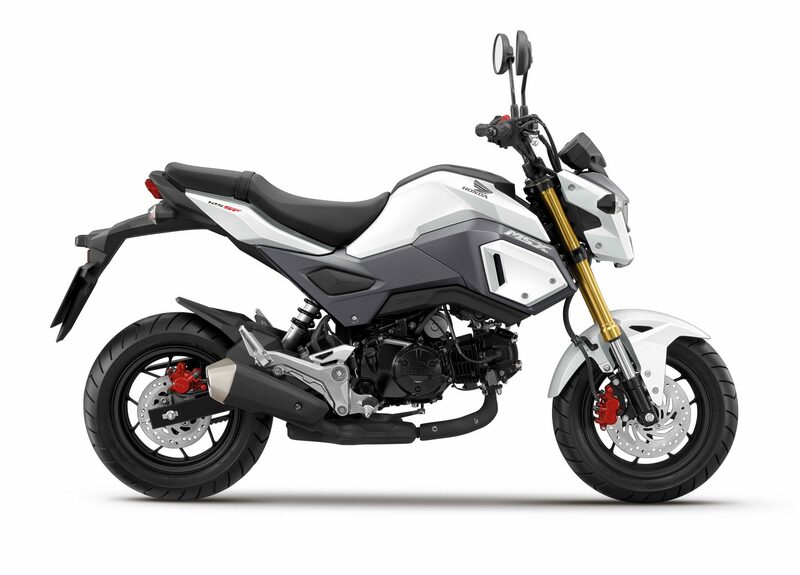 While the other motorbikes on this list look like bigger bikes which is why they made the awesome looking list, the Grom is here because it looks unique, it looks like it should cost a lot of money. 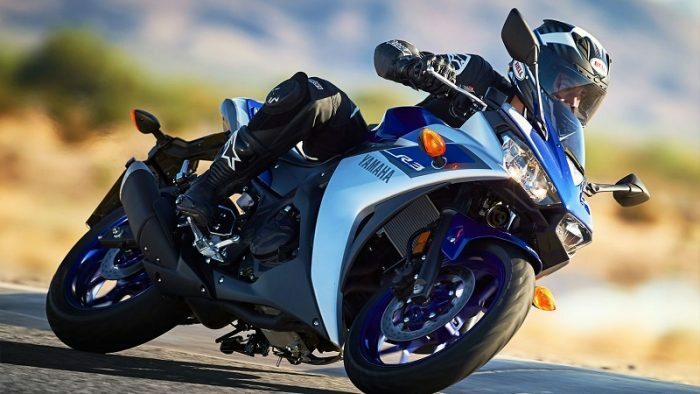 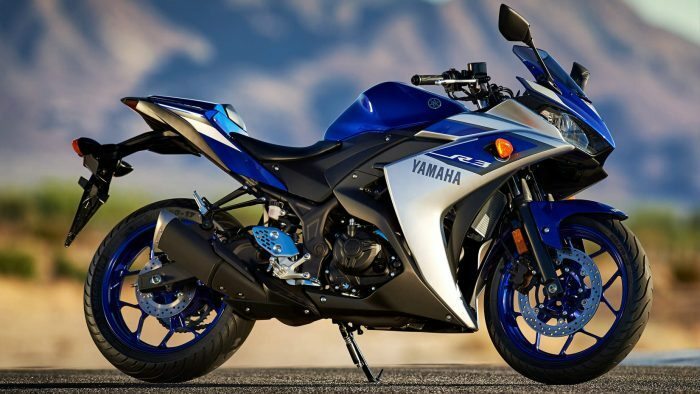 Arguably one of the best looking sub-600cc motorcycles out there today is the Yamaha R3. 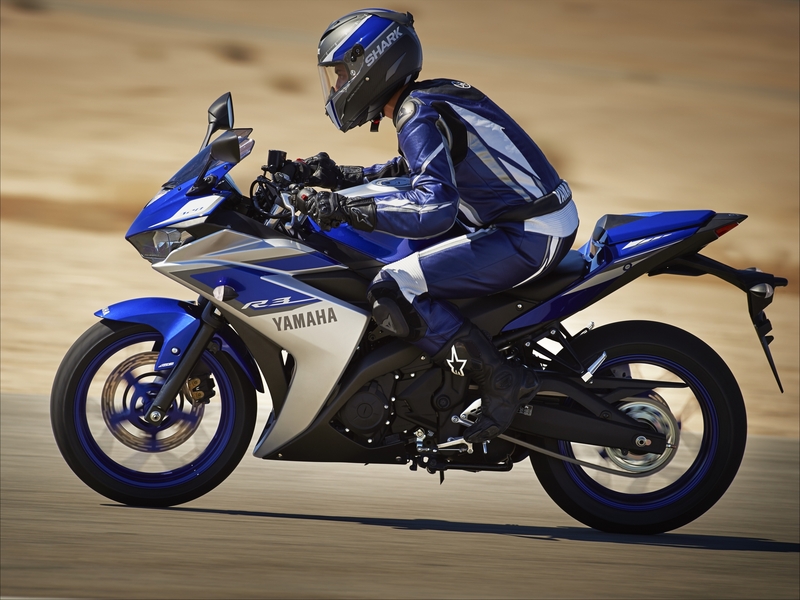 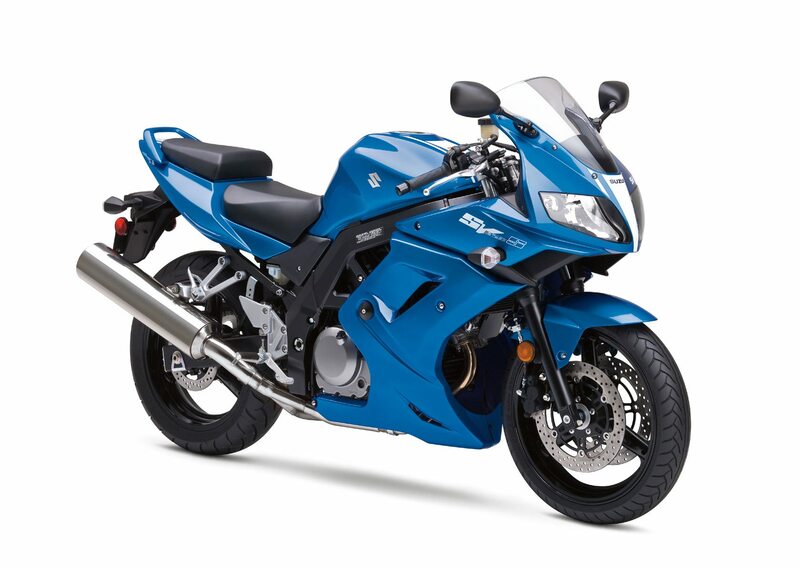 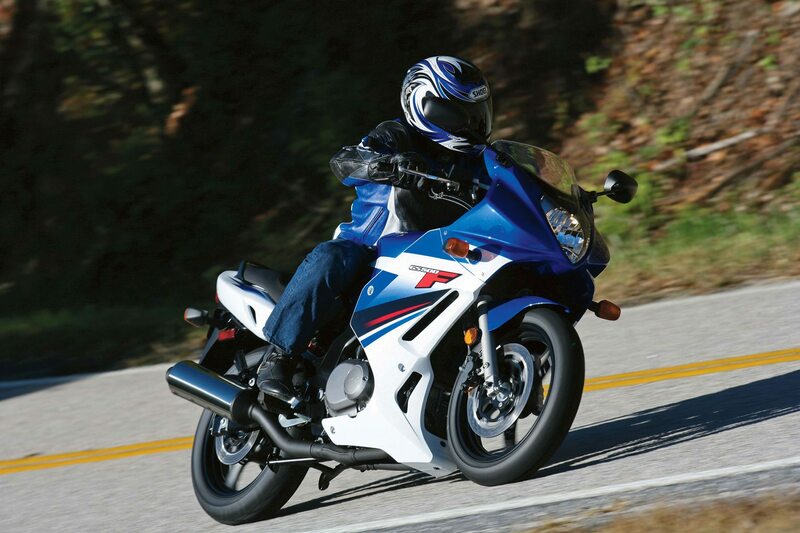 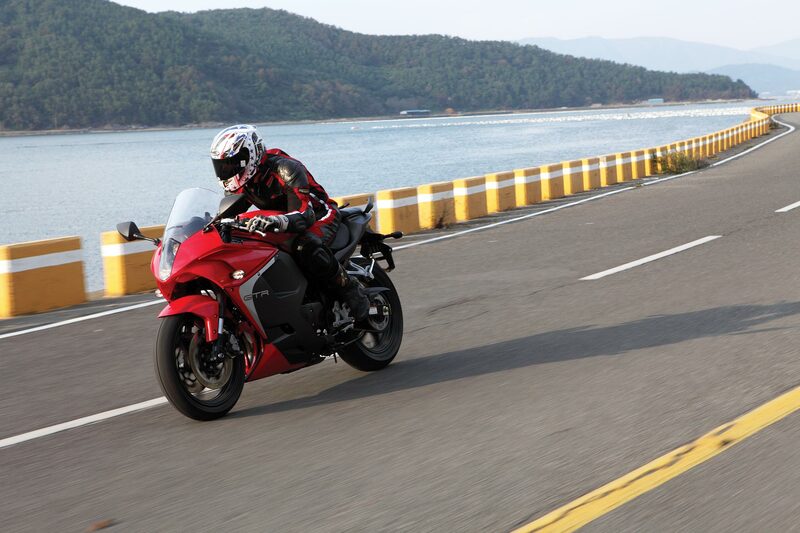 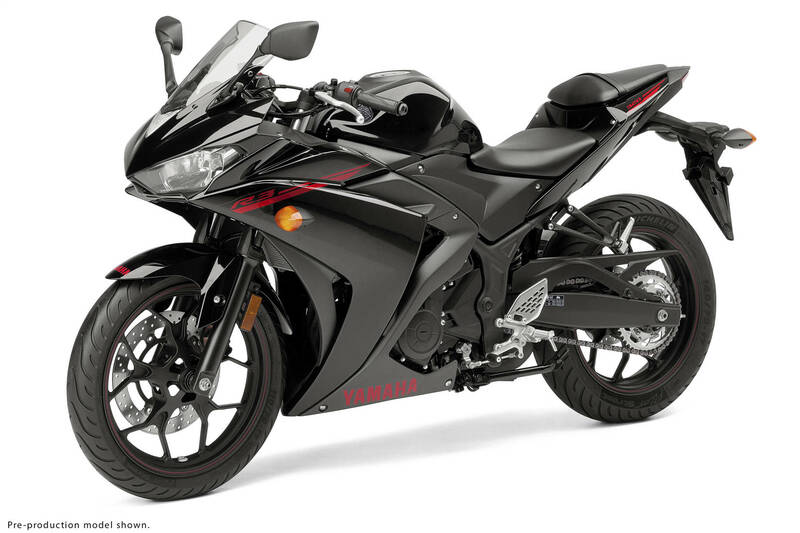 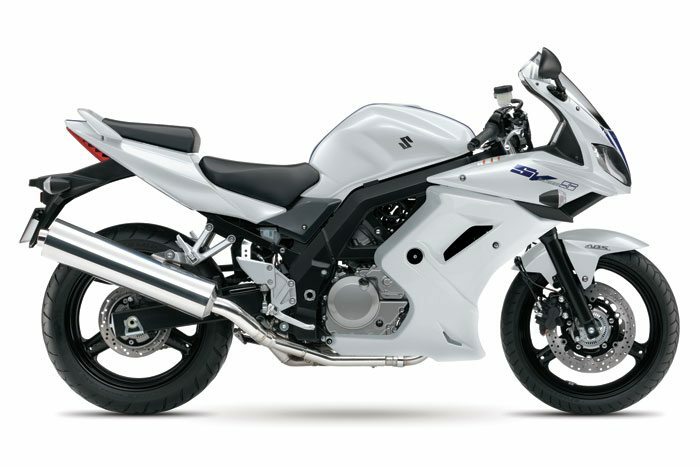 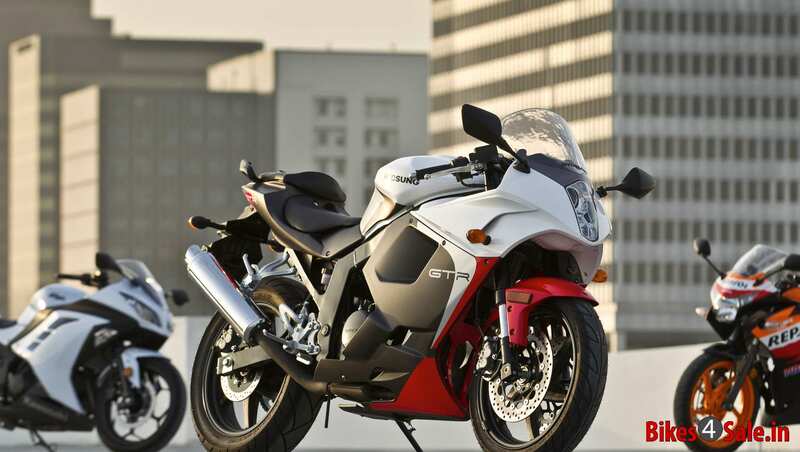 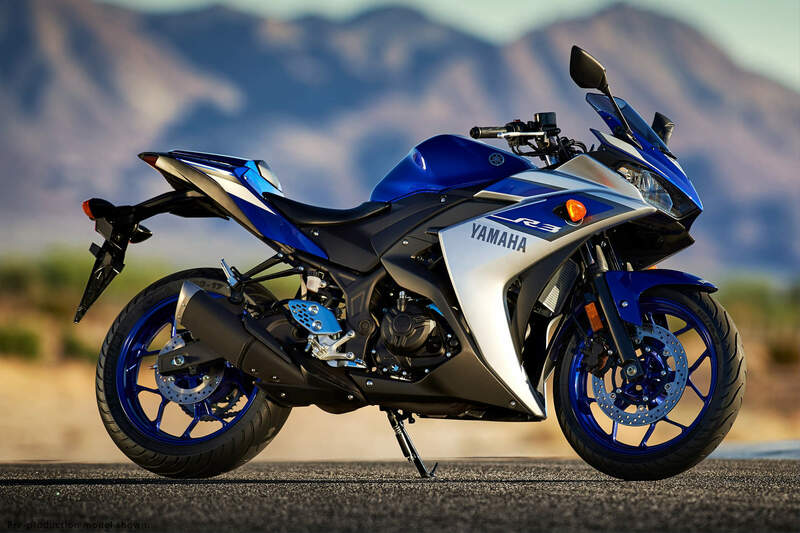 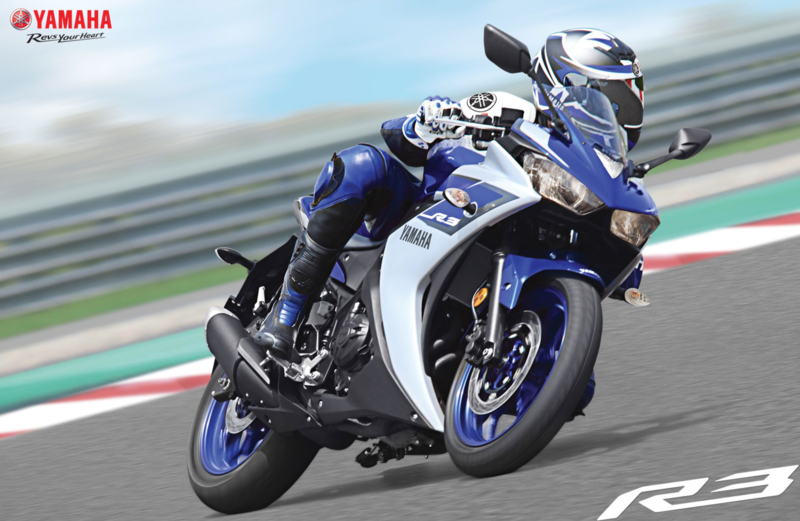 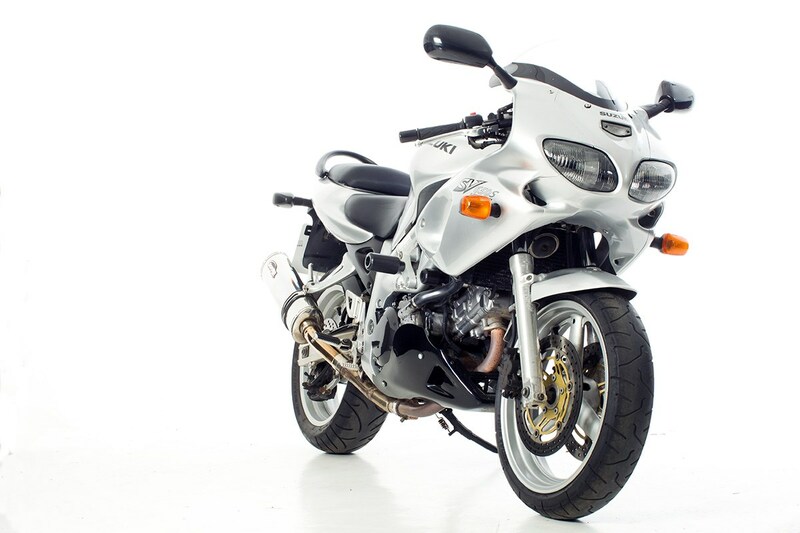 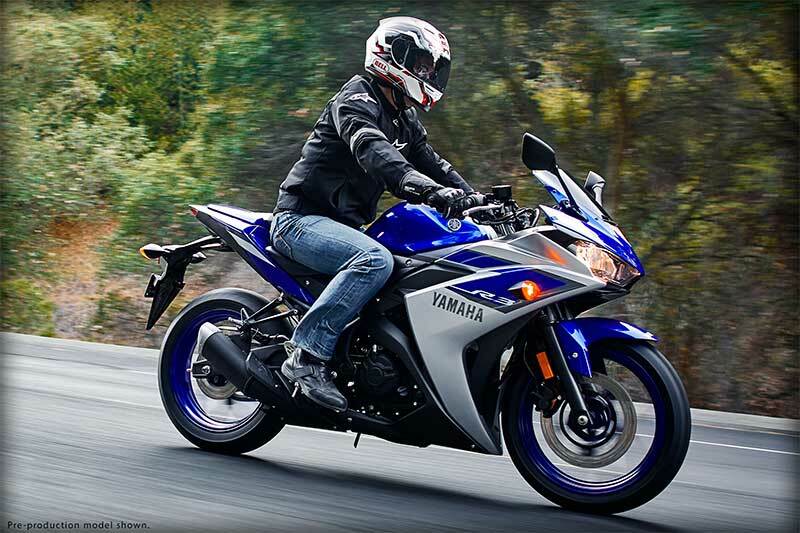 It has the same looks to it as it’s older brothers the R6 (600cc) and the R1 (1,000cc). 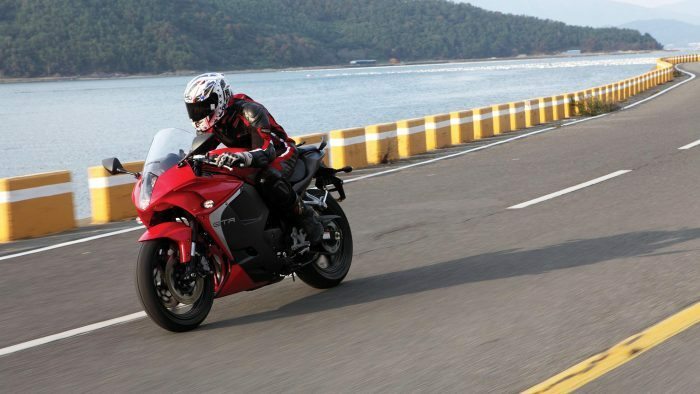 The cool, aggressive plastics help it be more aerodynamic and add a lot of cool angles to the bike, making it feel like a much more expensive purchase than it really is. 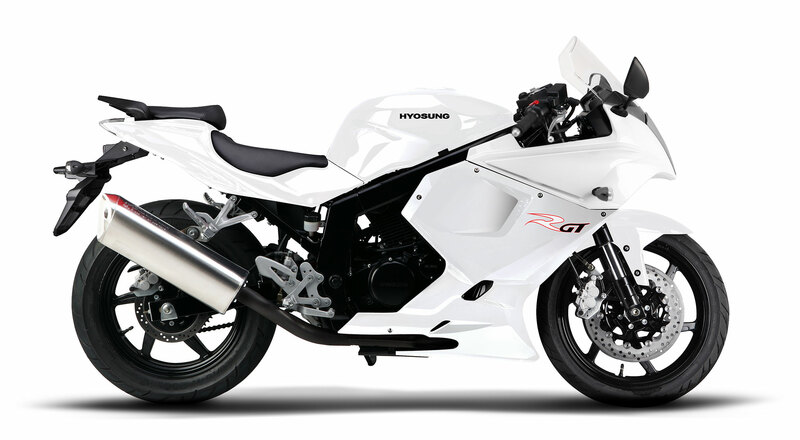 While these plastics make the R3 look amazing, if you drop the bike they are going to be expensive to replace (usually hundreds of dollars) so that is something to consider. 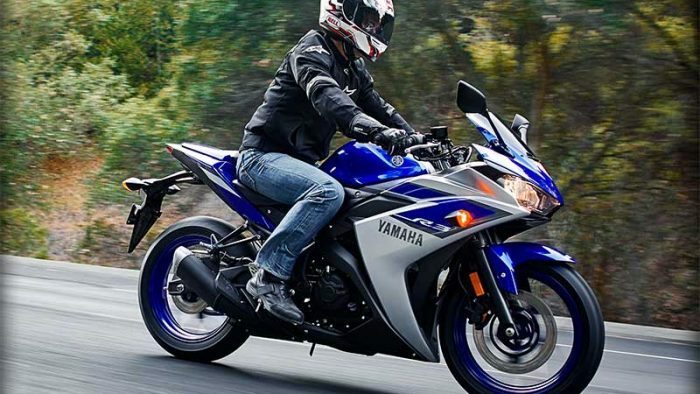 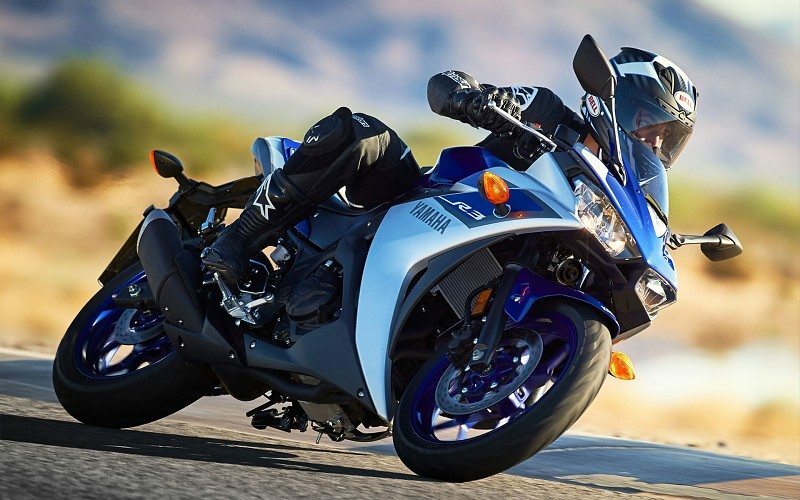 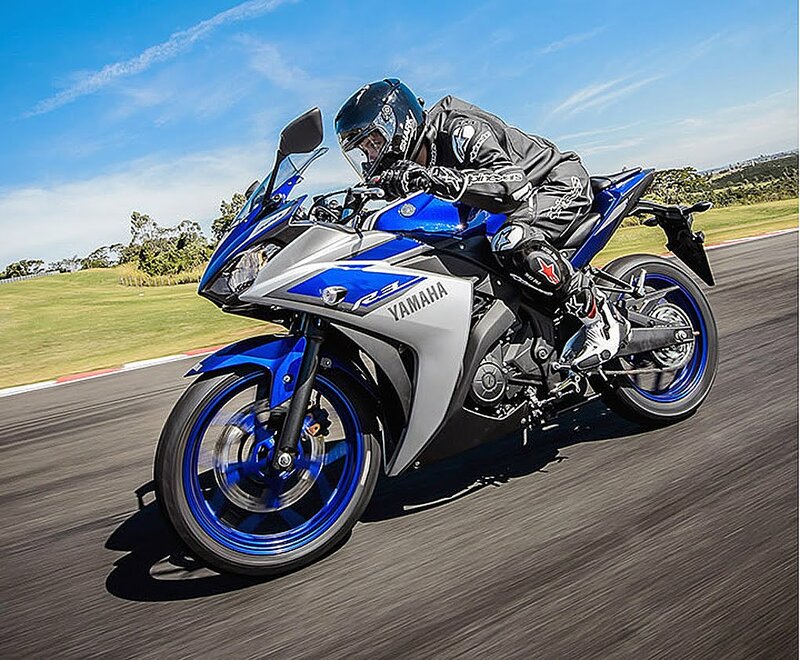 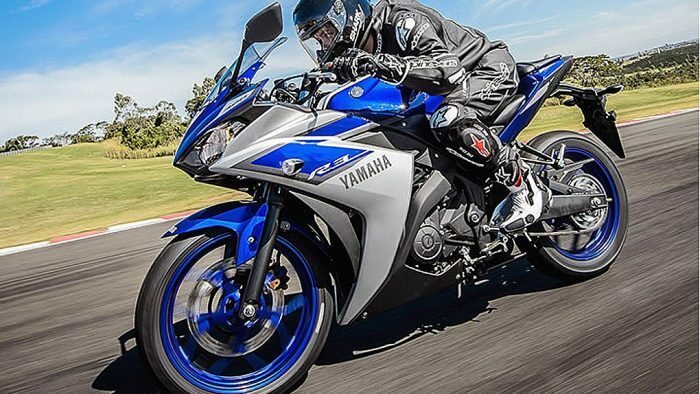 If you love the look though, you can’t go wrong for choosing this Yamaha as your first bike. 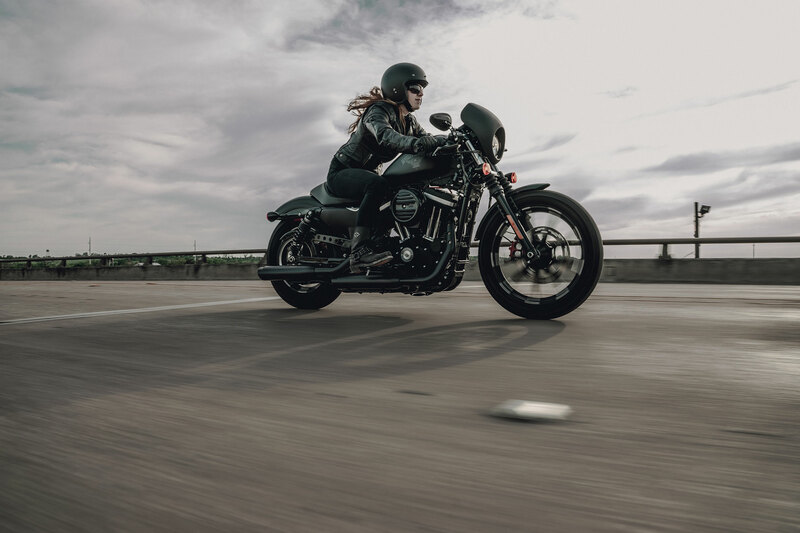 For a lot of people that dream of riding a motorcycle, there is only one brand that they would ever consider: Harley Davidson. The problem of course is that Harley doesn’t make cheap bikes. 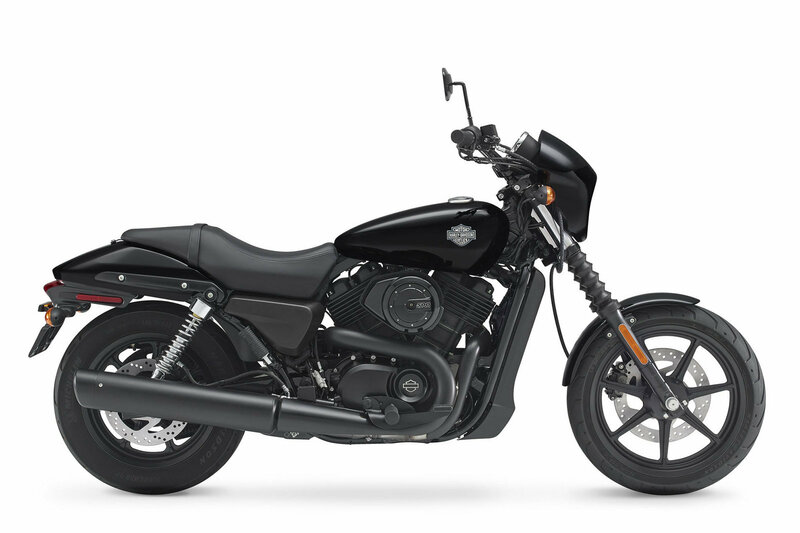 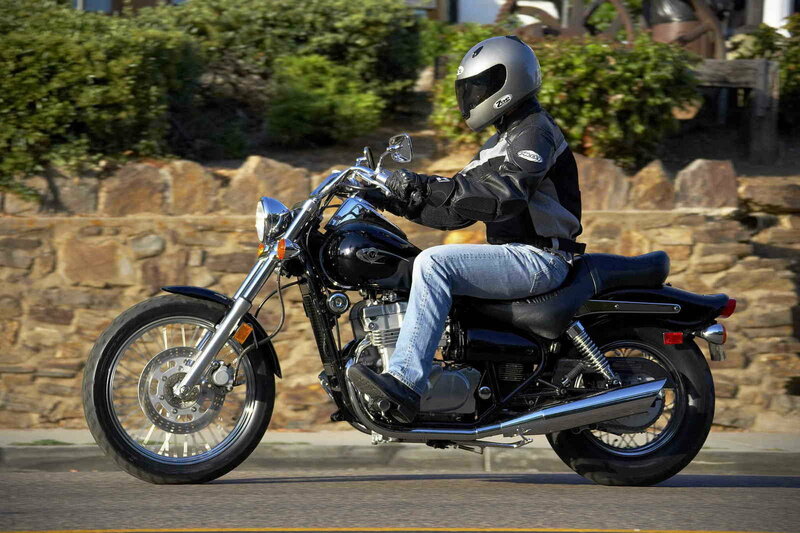 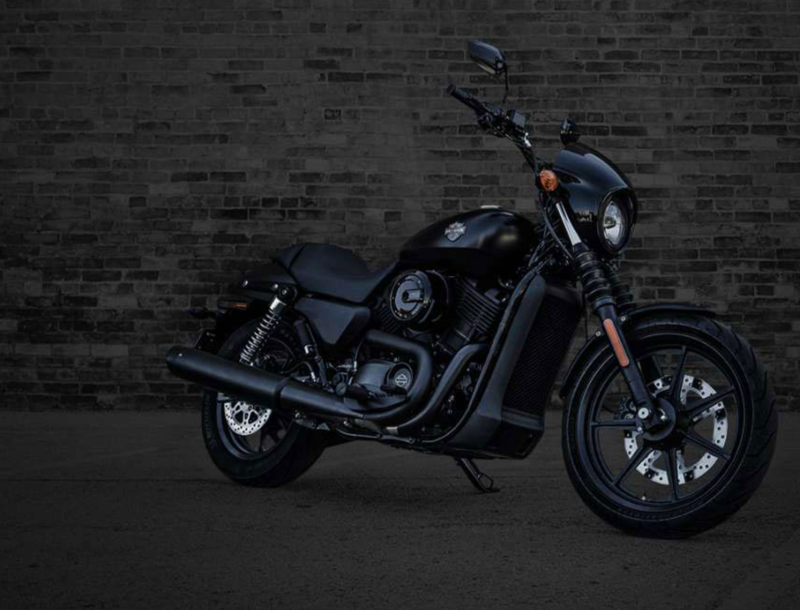 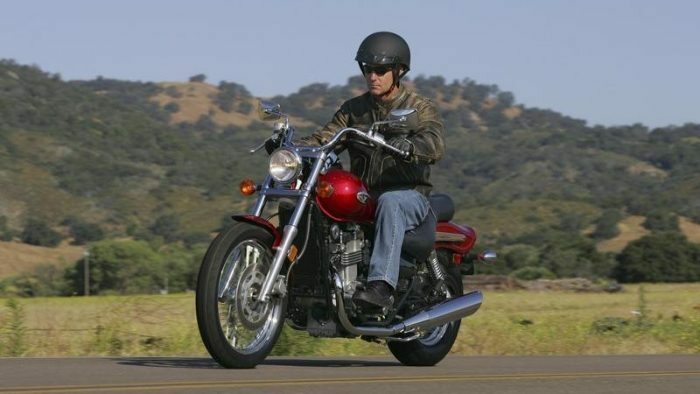 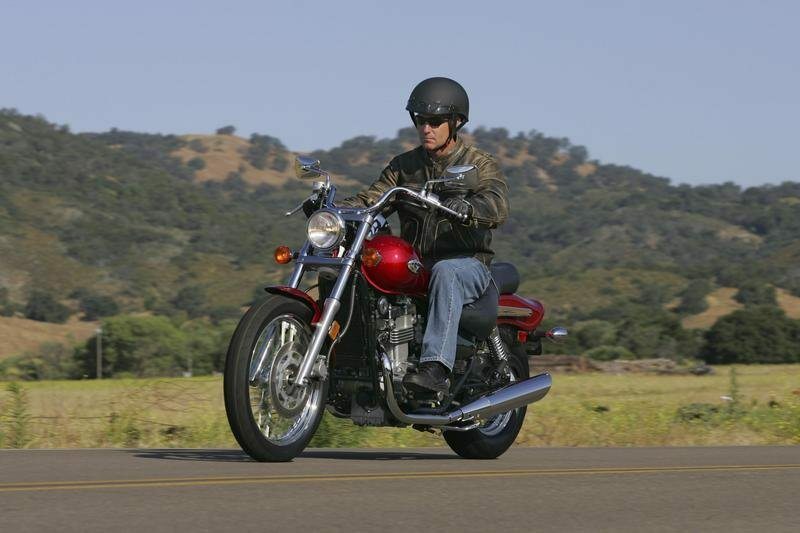 The smallest motorcycle Harley offered was their 883, which is not an ideal beginner motorcycle. 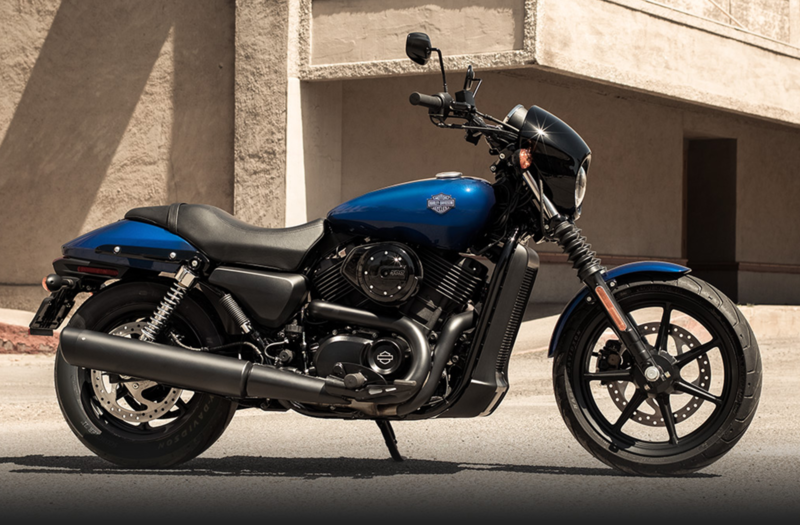 That’s where the Street 500 comes in. 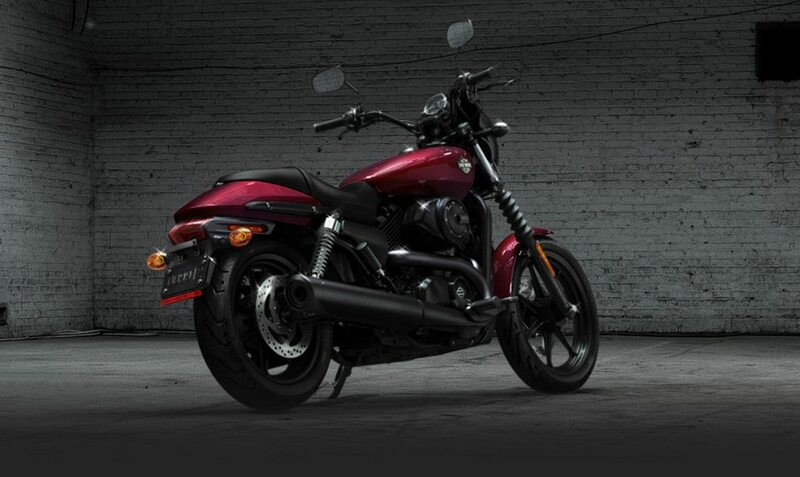 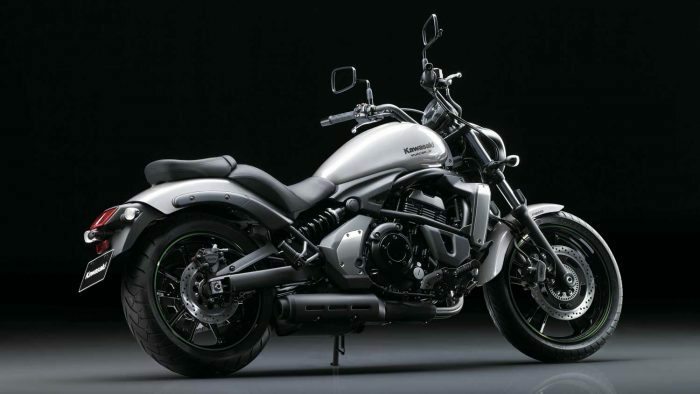 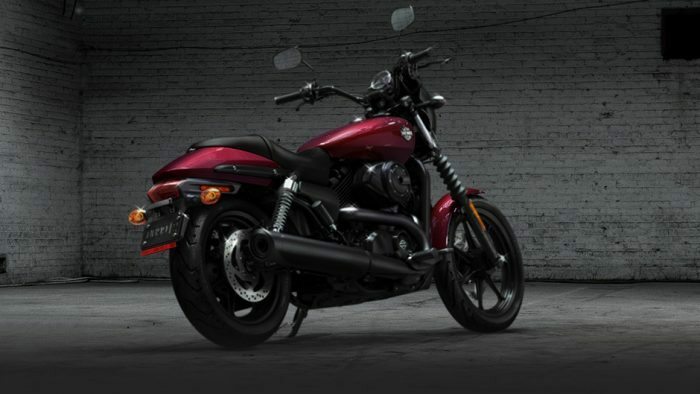 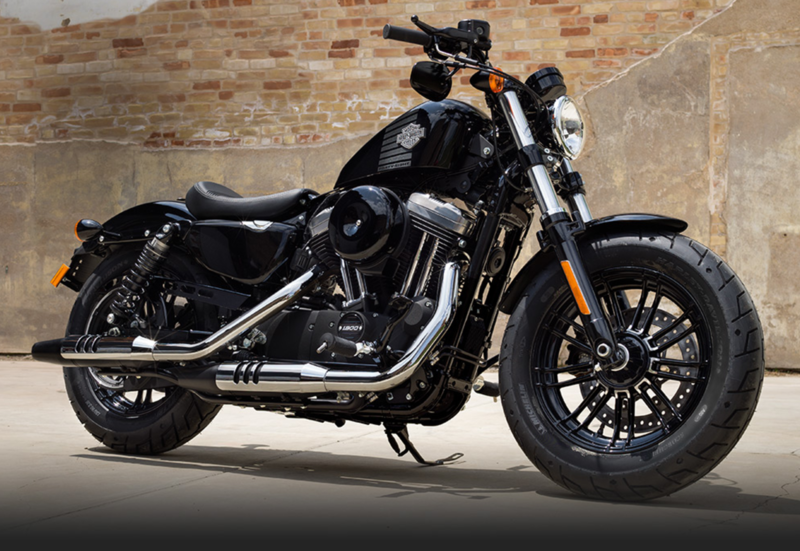 Take one look and it is 100% Harley, looks aggressive, big and definitely a future classic. 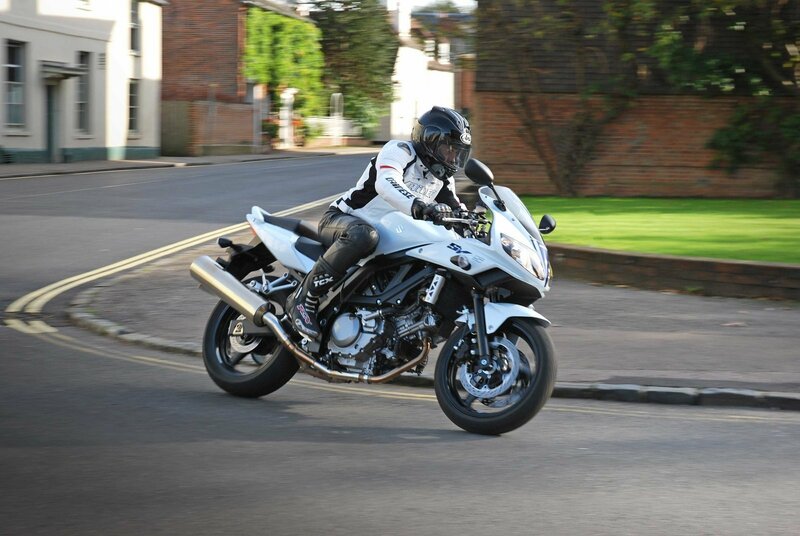 It is low to ground, sounds aggressive and genuinely gets stares from onlookers. 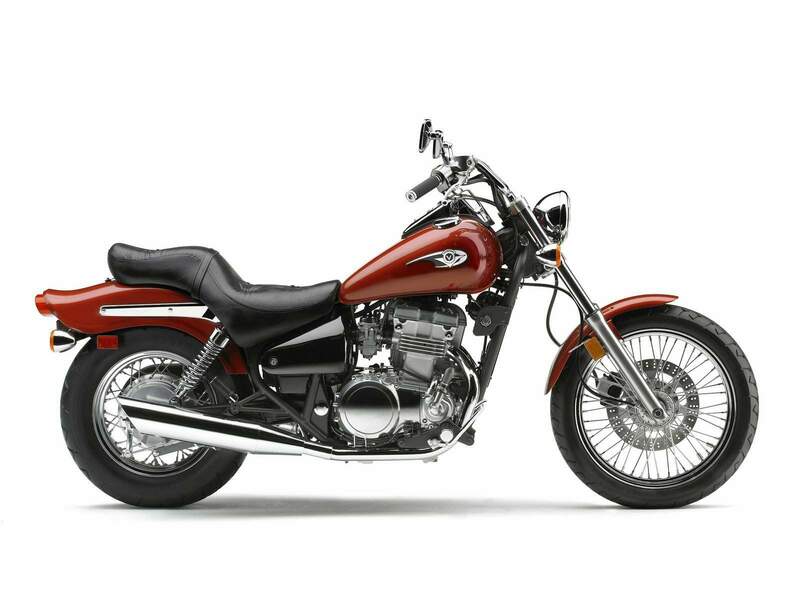 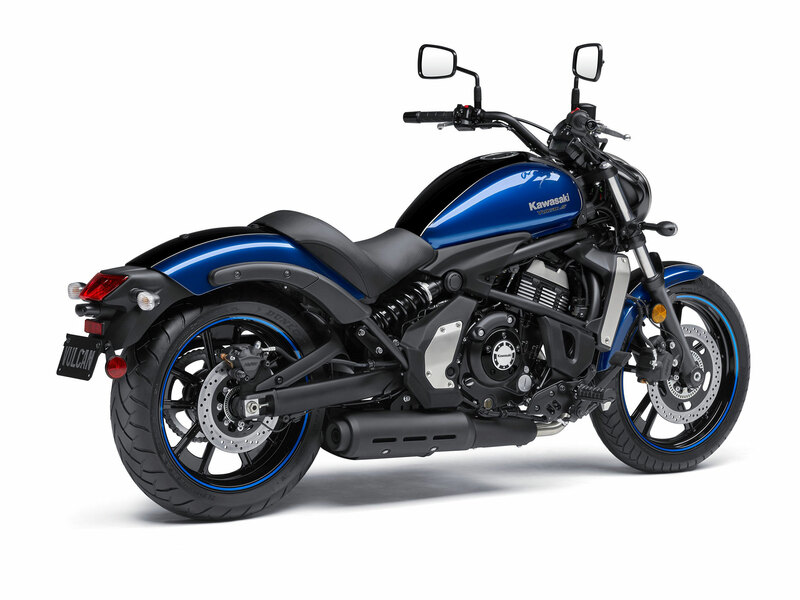 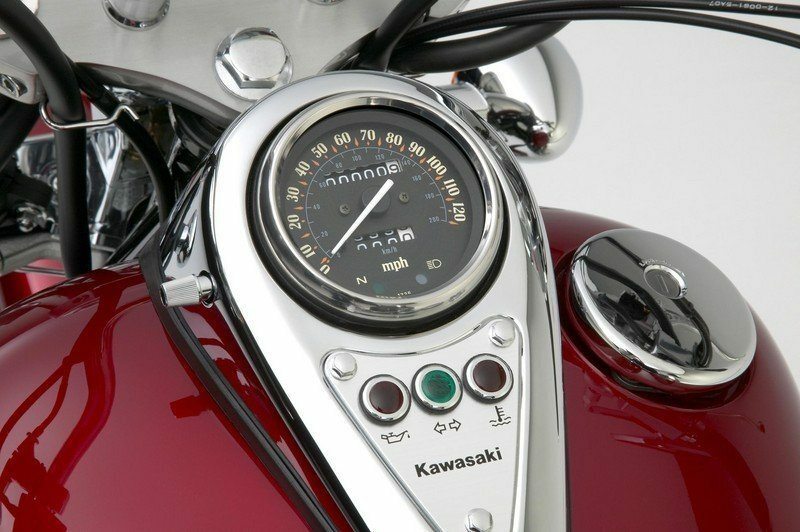 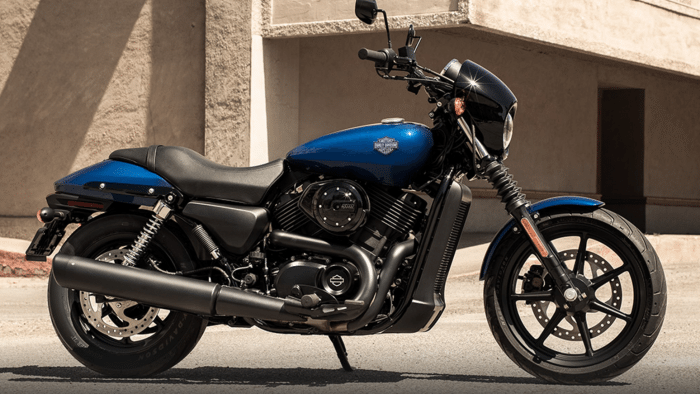 The lineage is clear and it is easy to see why this is on our best looking beginner motorcycles. 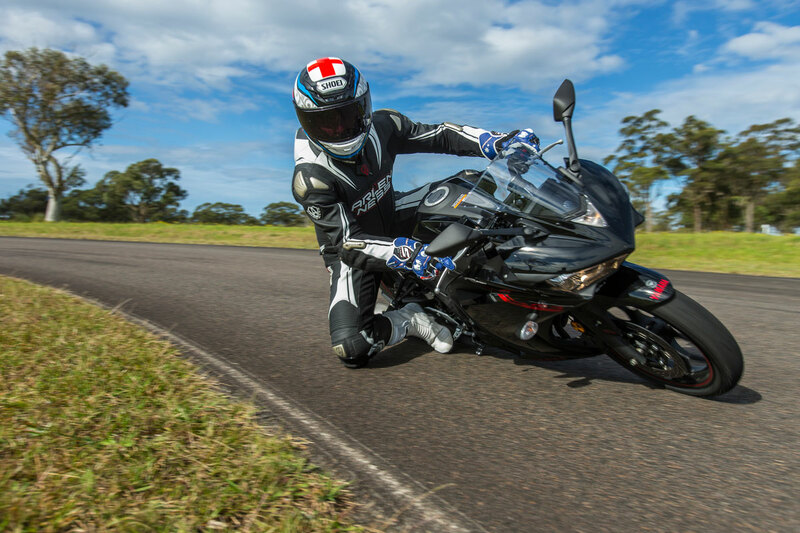 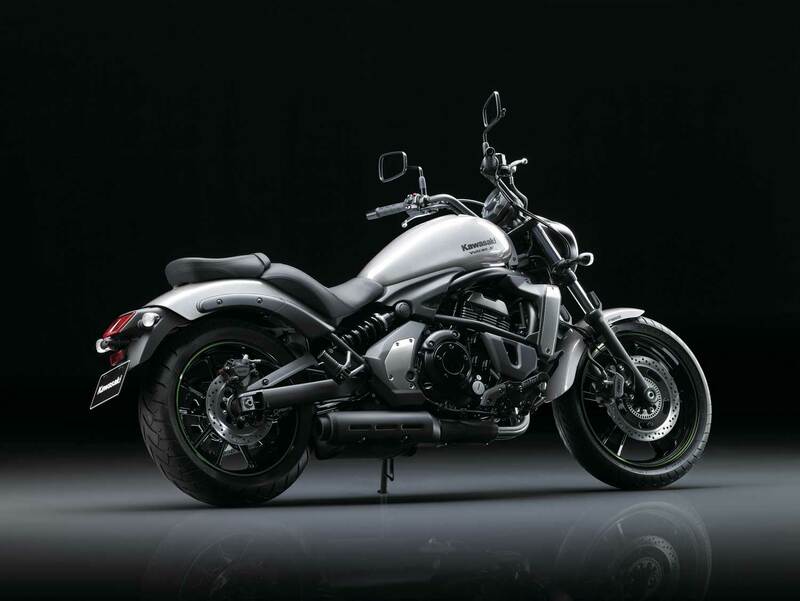 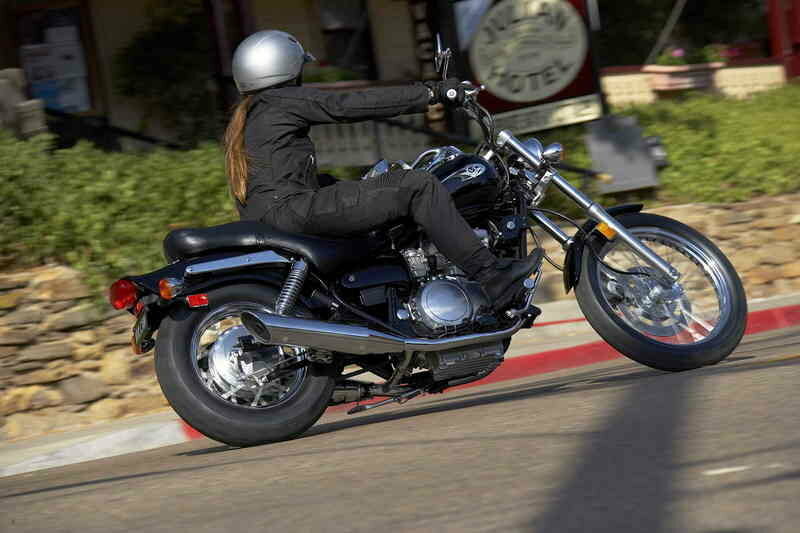 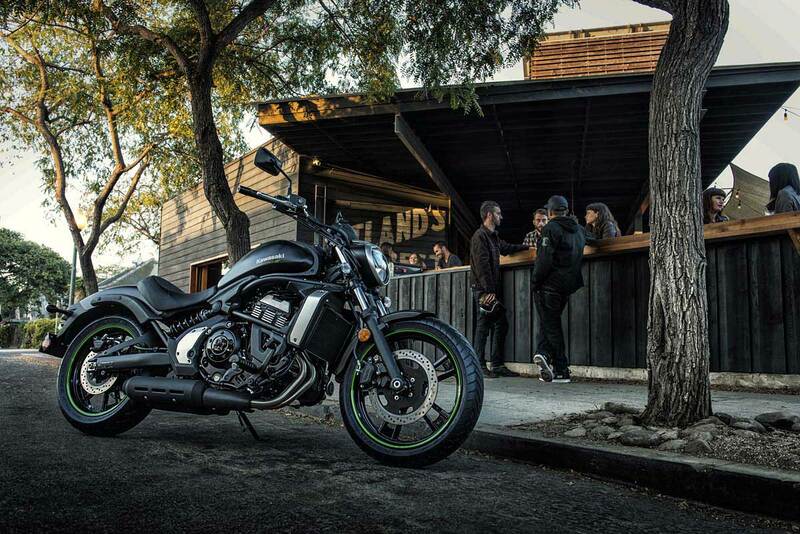 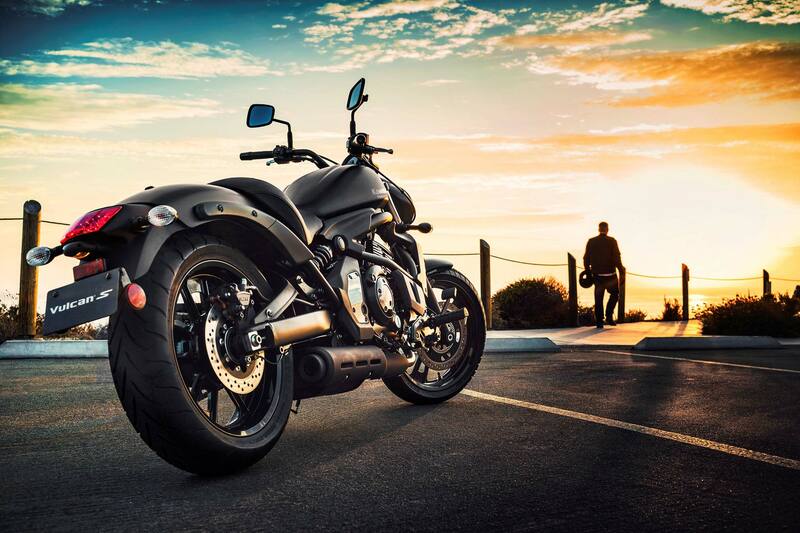 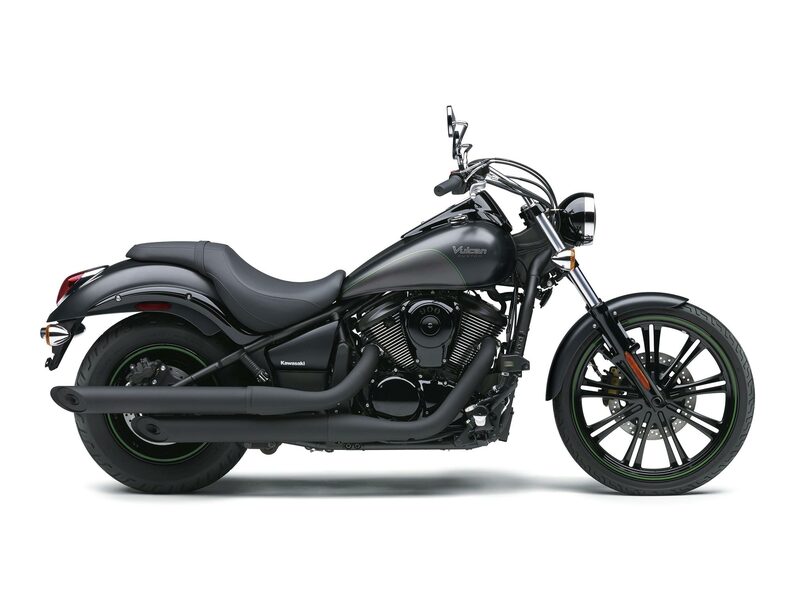 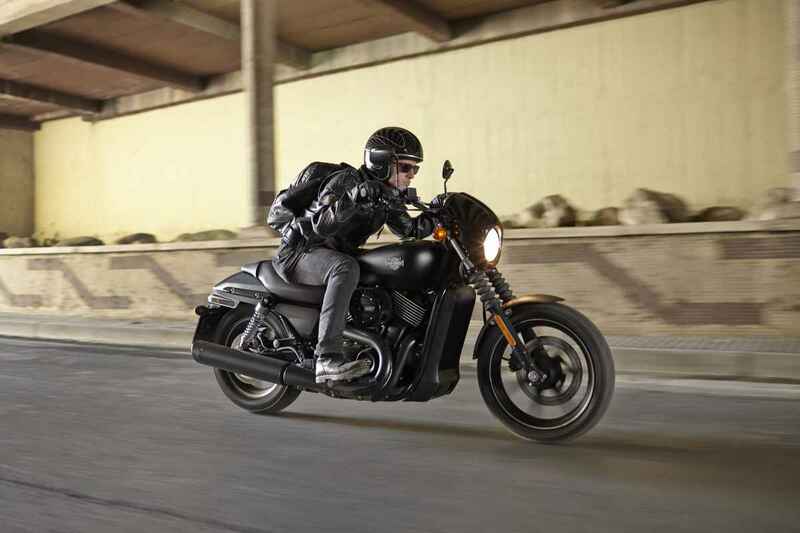 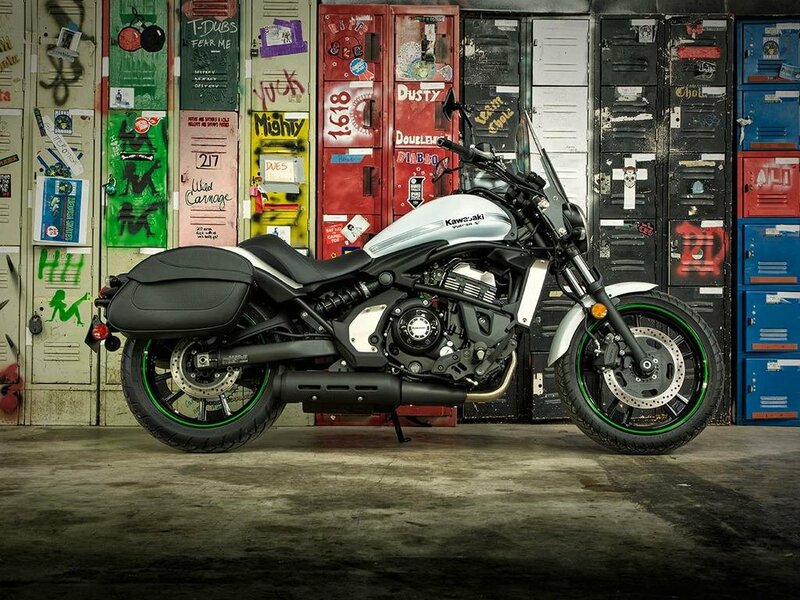 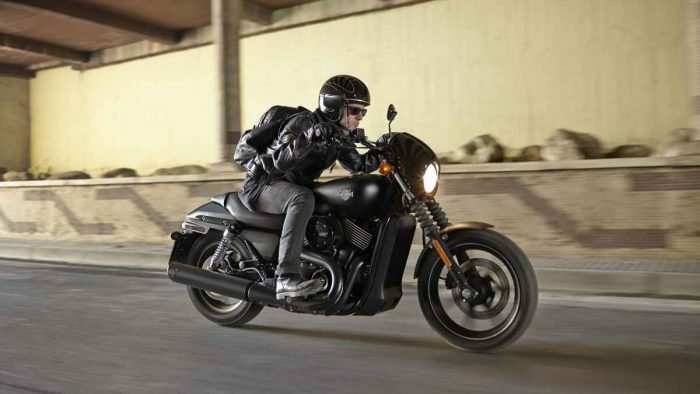 The Vulcan S comes with a 649cc engine which will be enough to cruise on the freeway, but also not overwhelming for a beginner rider. 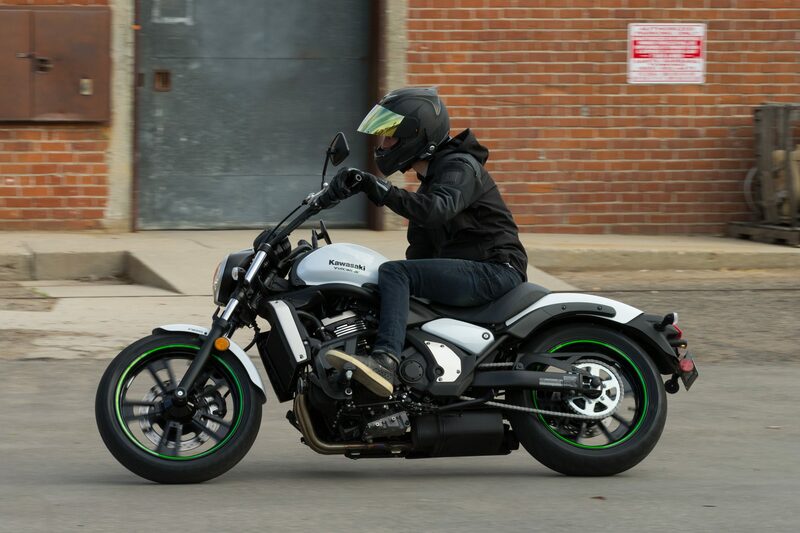 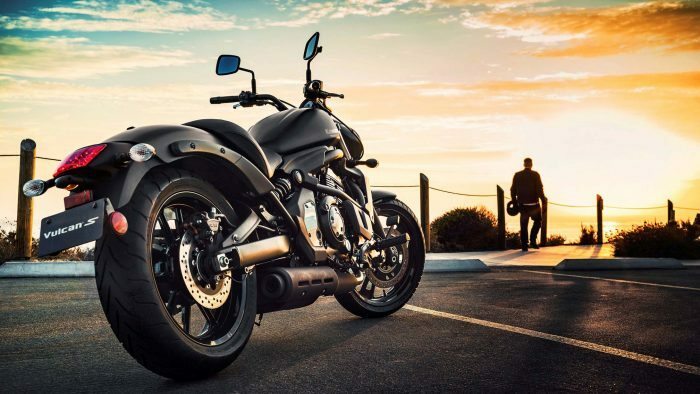 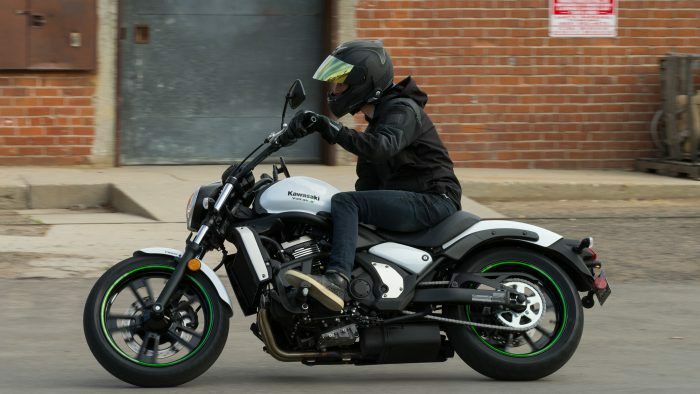 This isn’t a power-post though, this is about the best looking motorcycles for beginners and the Vulcan S definitely has it in the looks department. 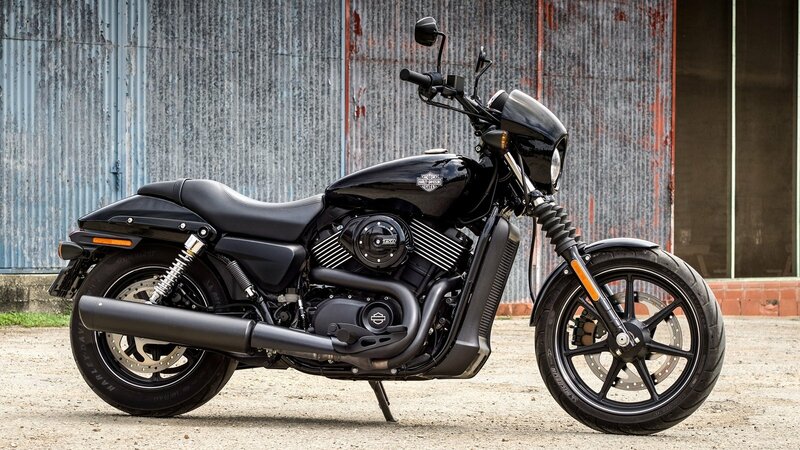 It is modern and beefy and cool. 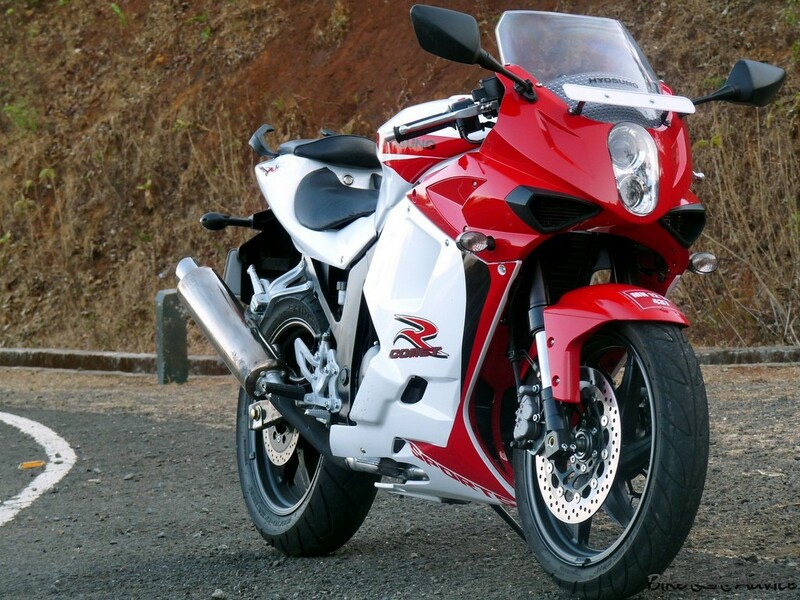 Perfect then. 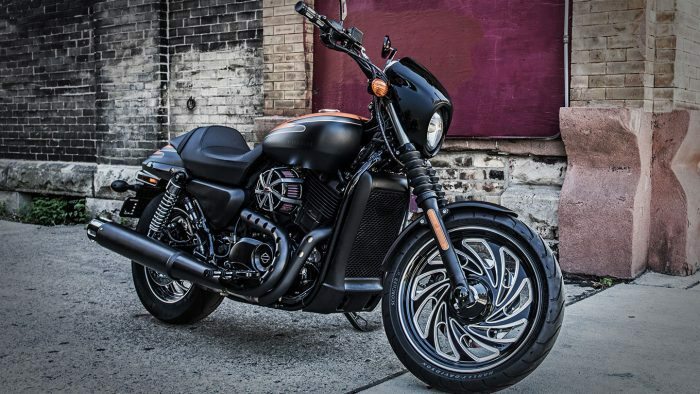 In my opinion it is one of the best looking cruisers on the road.